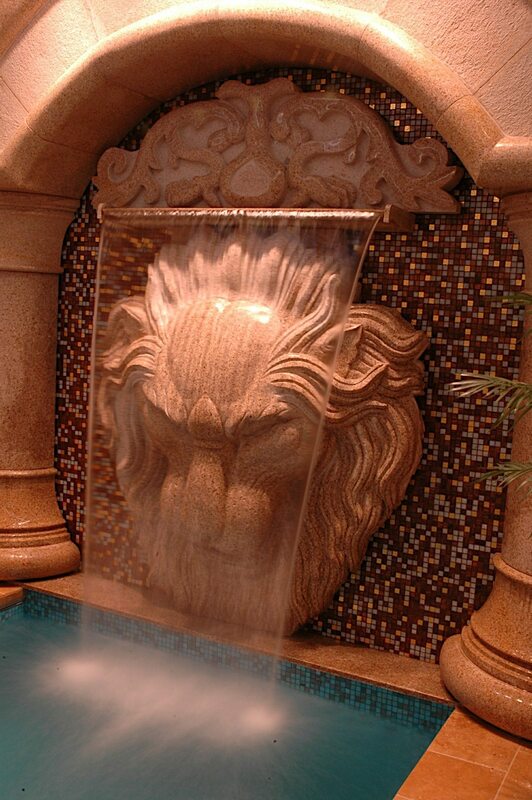 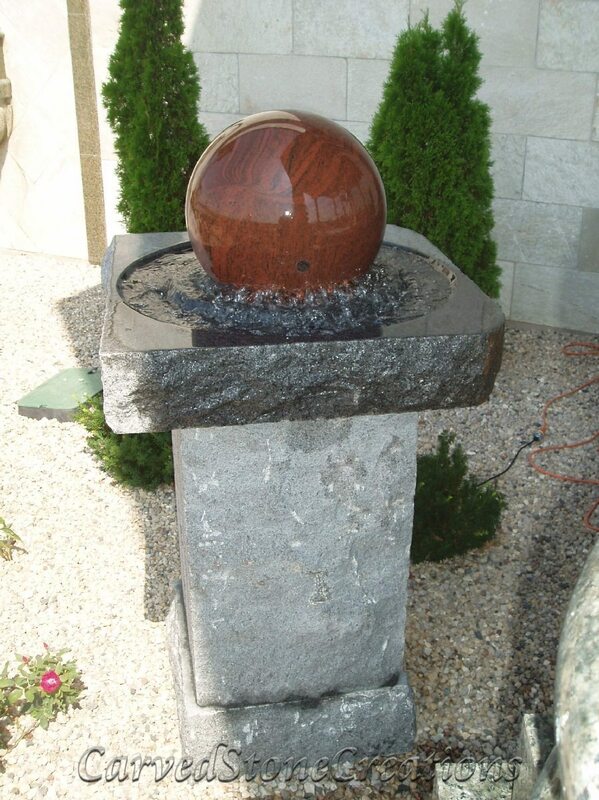 This granite pool surround recirculates the water for this bronze mermaid fountain accented by a spray ring. 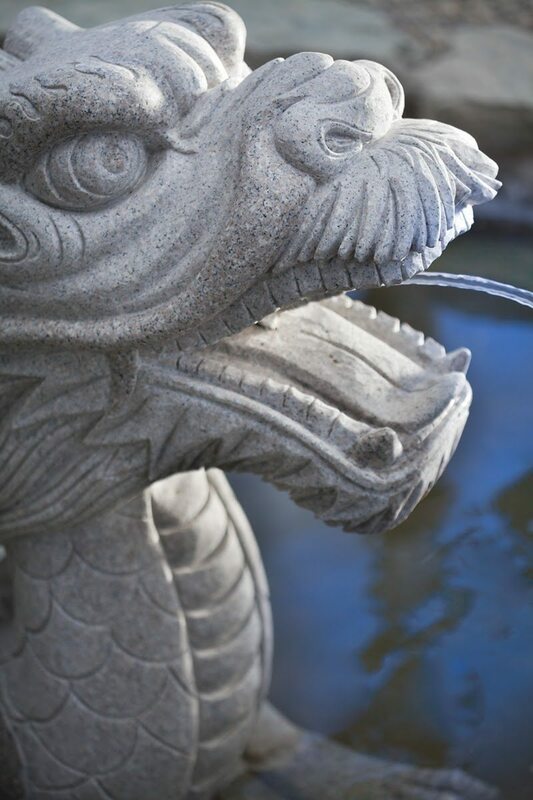 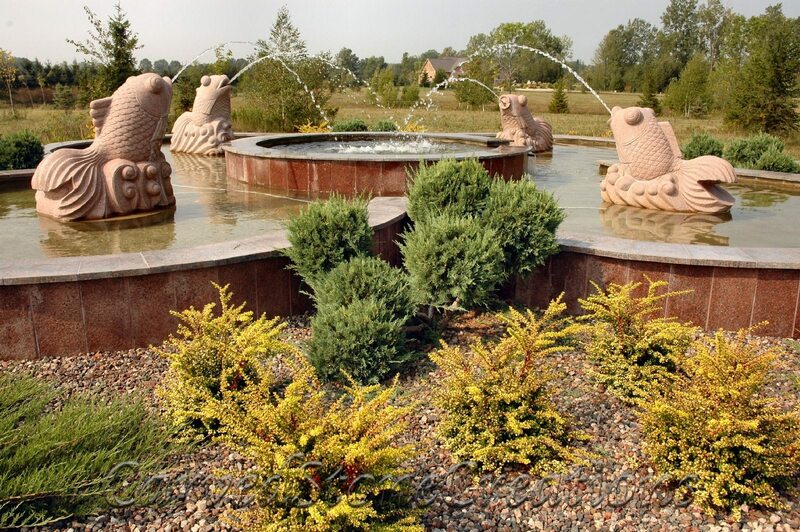 This 8 foot long Chinese Dragon Fountain will make an awe inspiring statement in your garden or landscape. 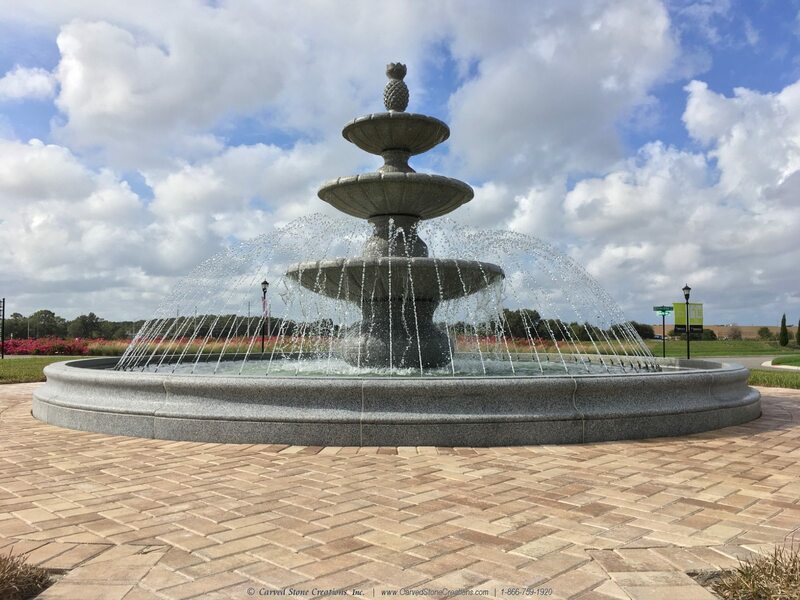 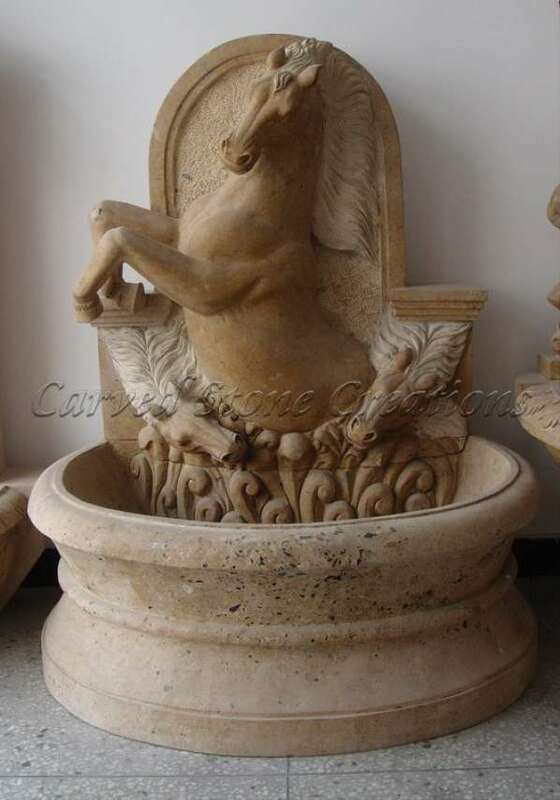 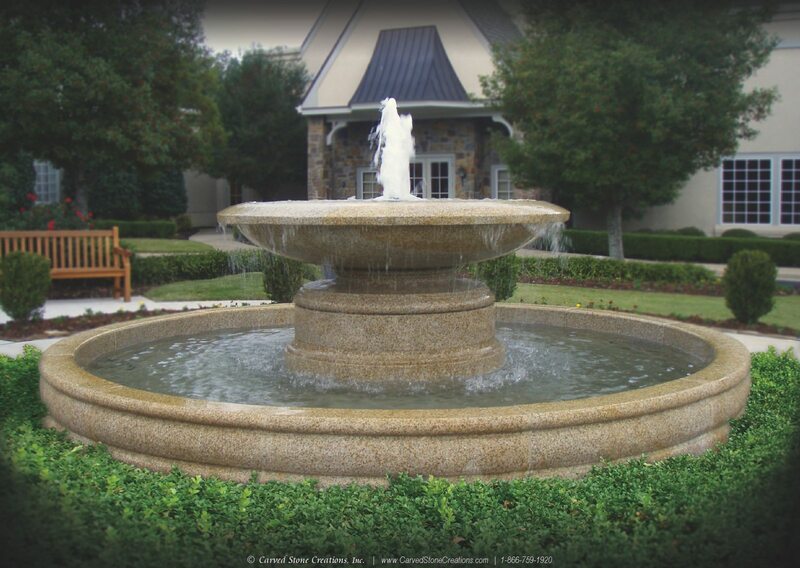 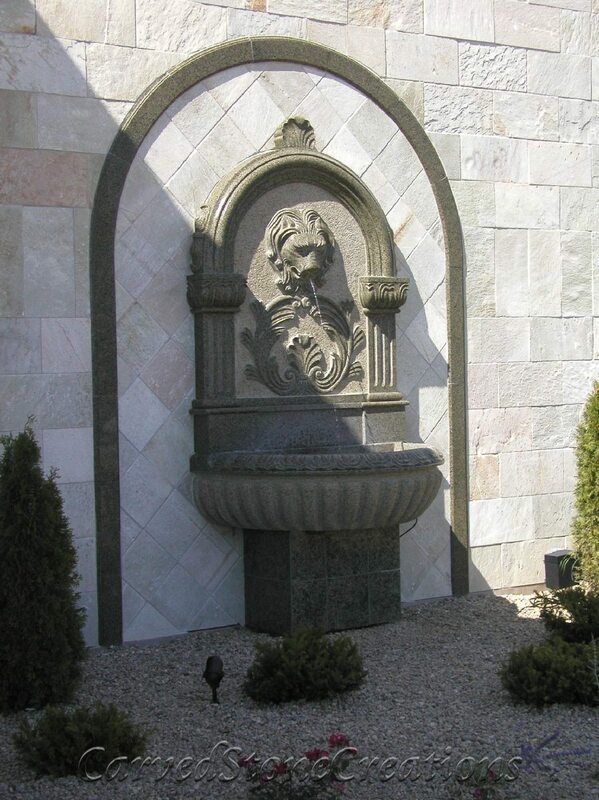 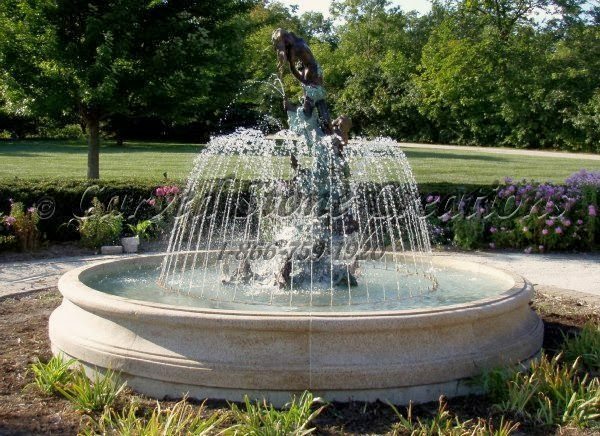 This classical bronze statuary fountain includes a spray ring inside a rounded quatrefoil pool surround. 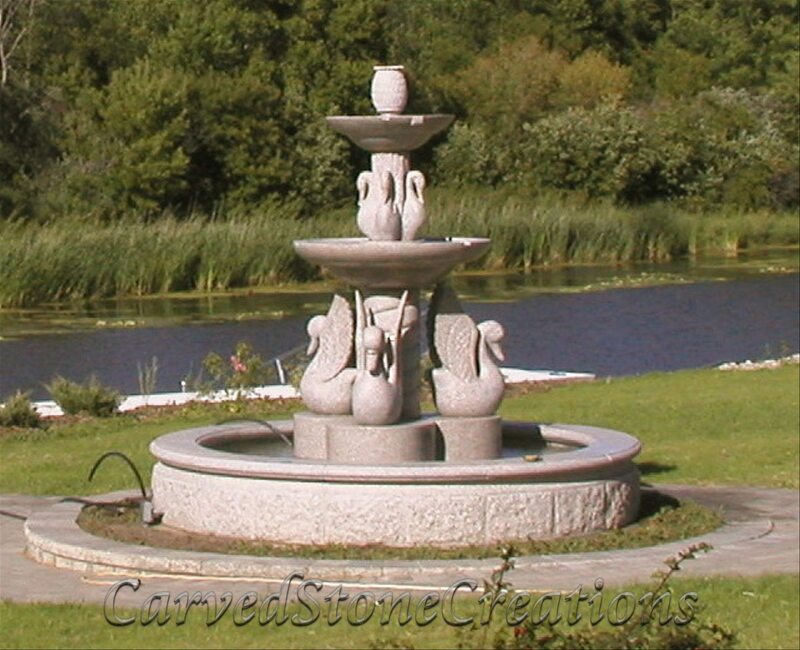 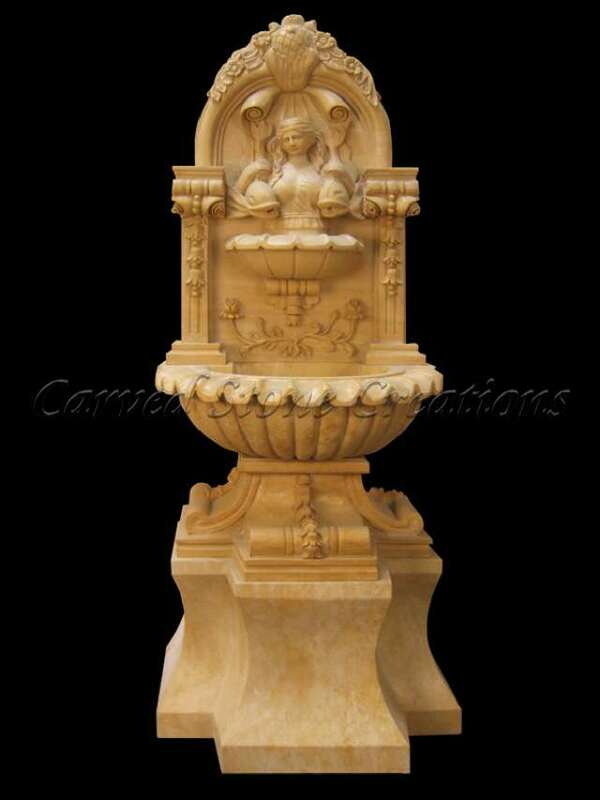 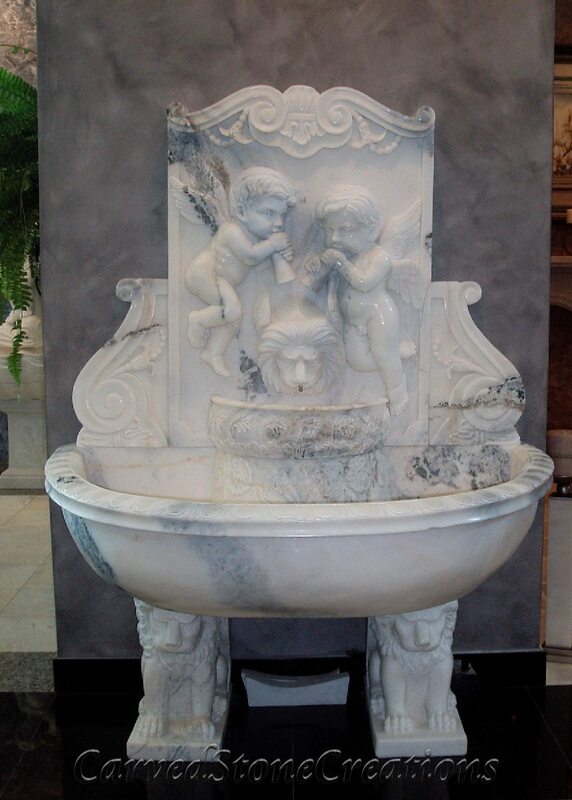 Carved granite swans flank an elegant tiered fountain in this motor court. 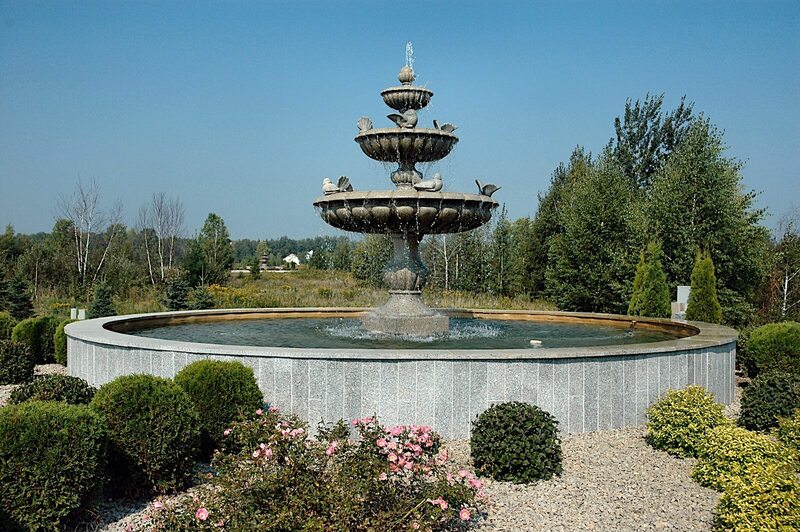 At over 10 feet tall, this is a large fountain. 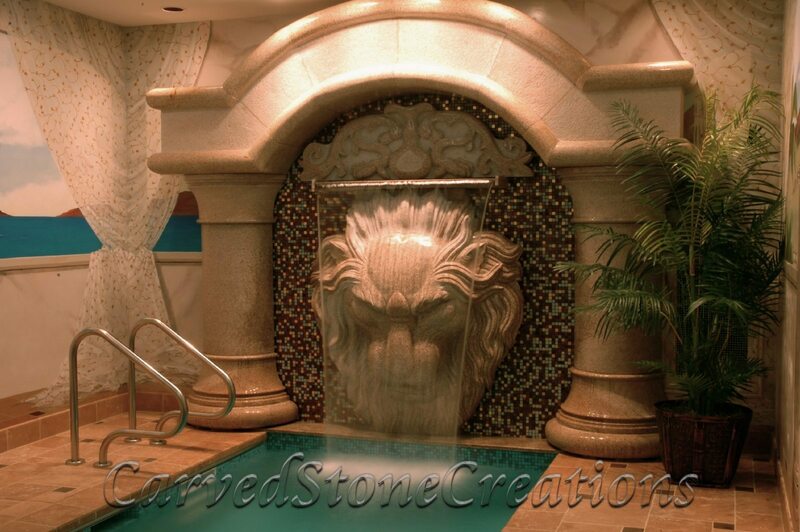 A whimsical addition to this pool deck. 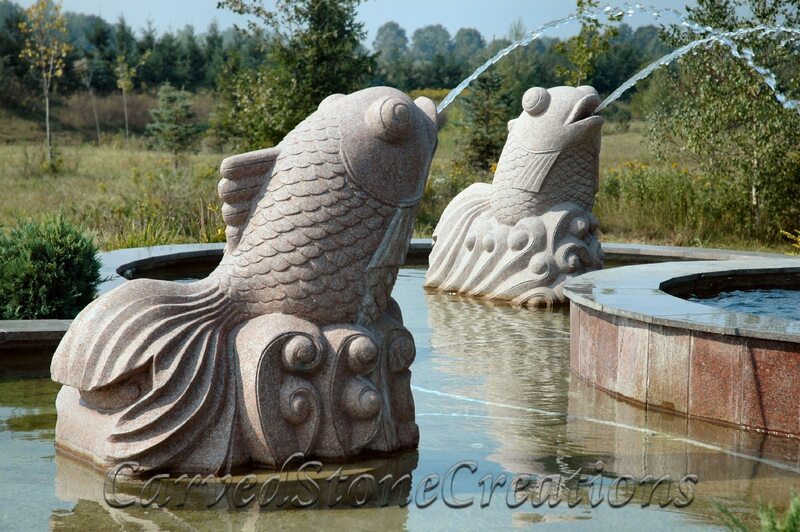 A carved red granite gold fish sprays water back into the pool. 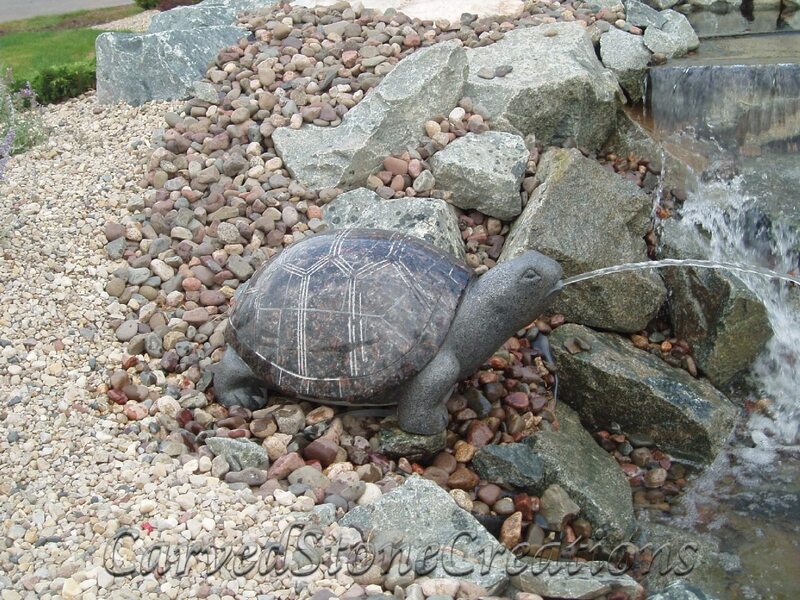 Add a unique touch to your outdoor water feature with a turtle spitting water into the pond. 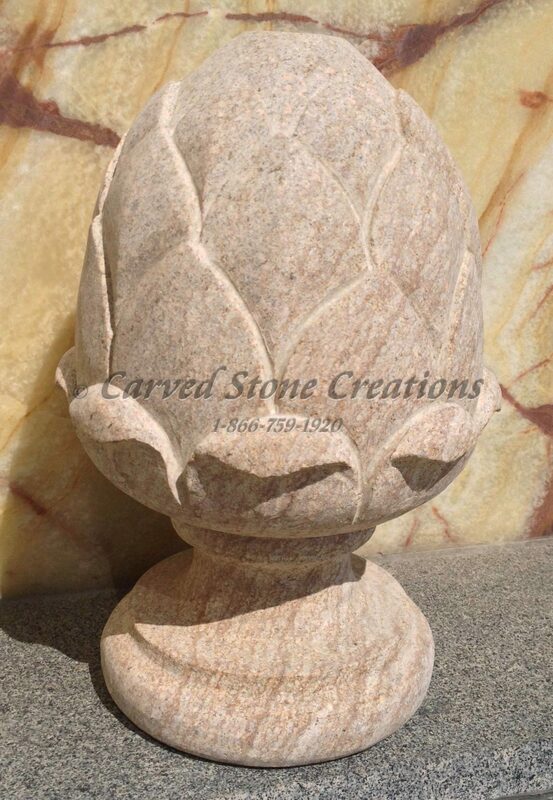 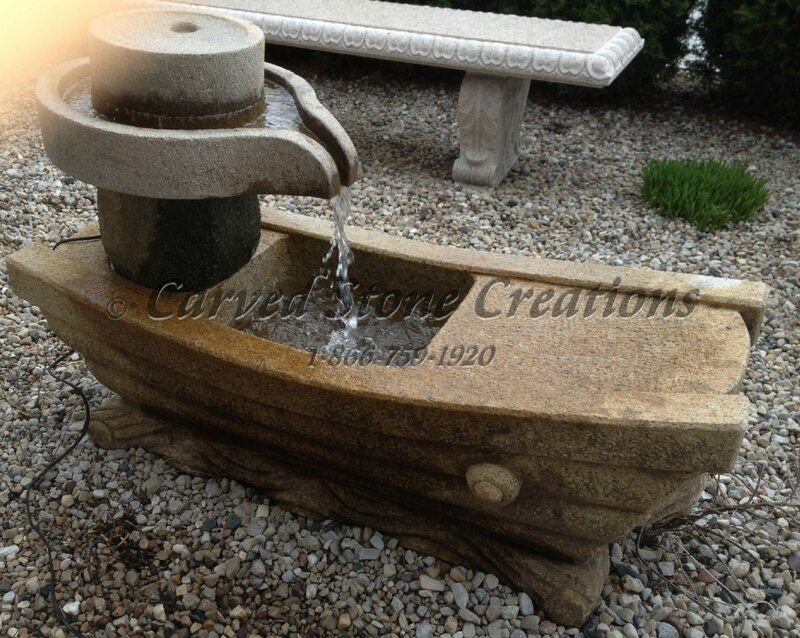 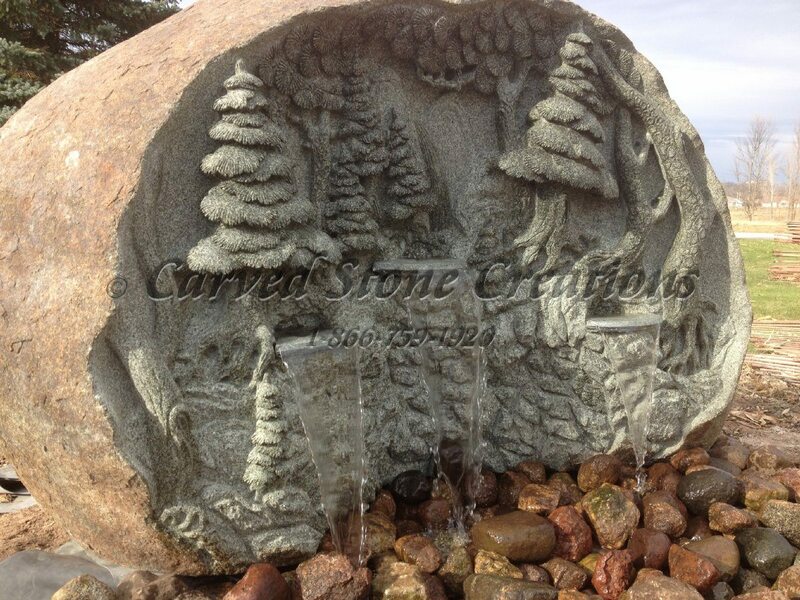 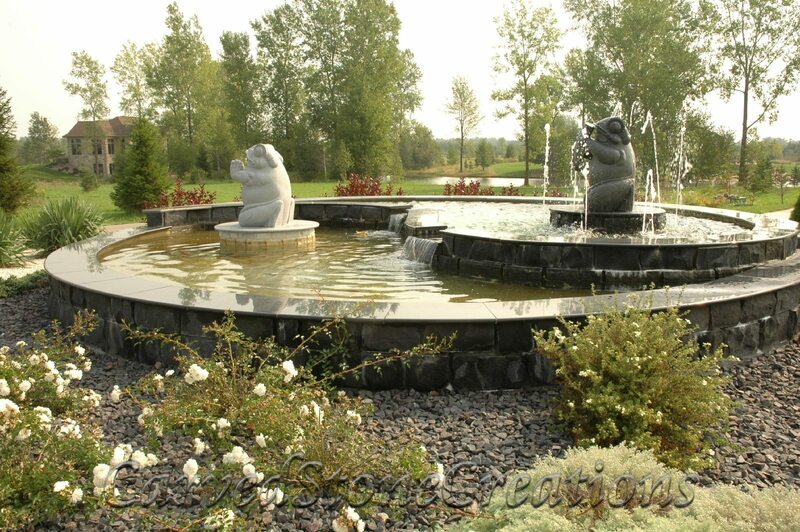 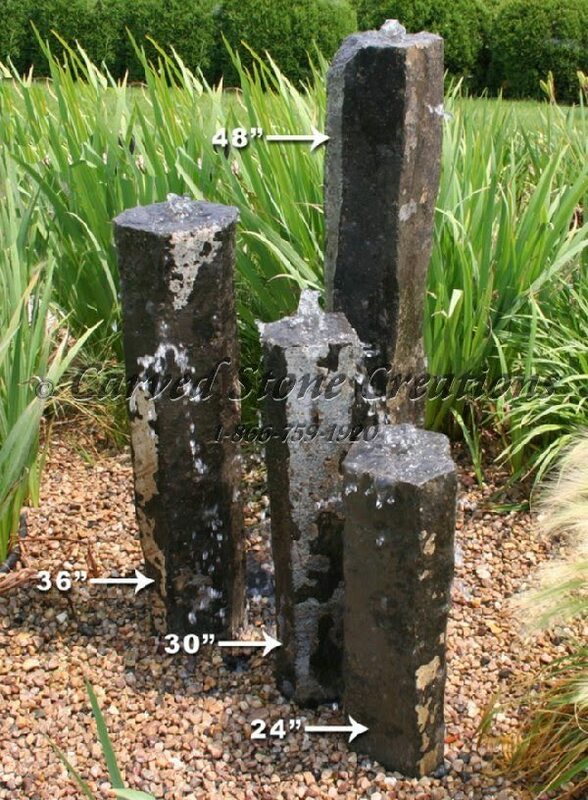 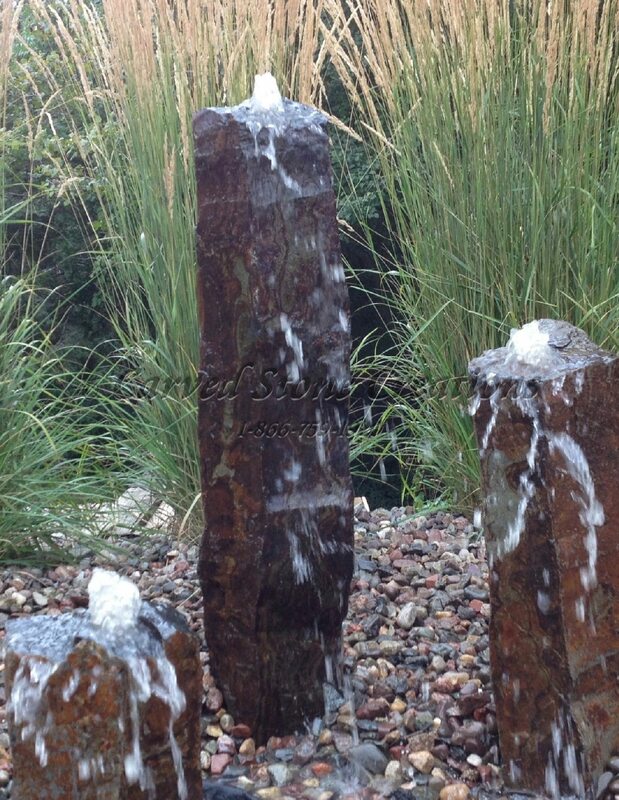 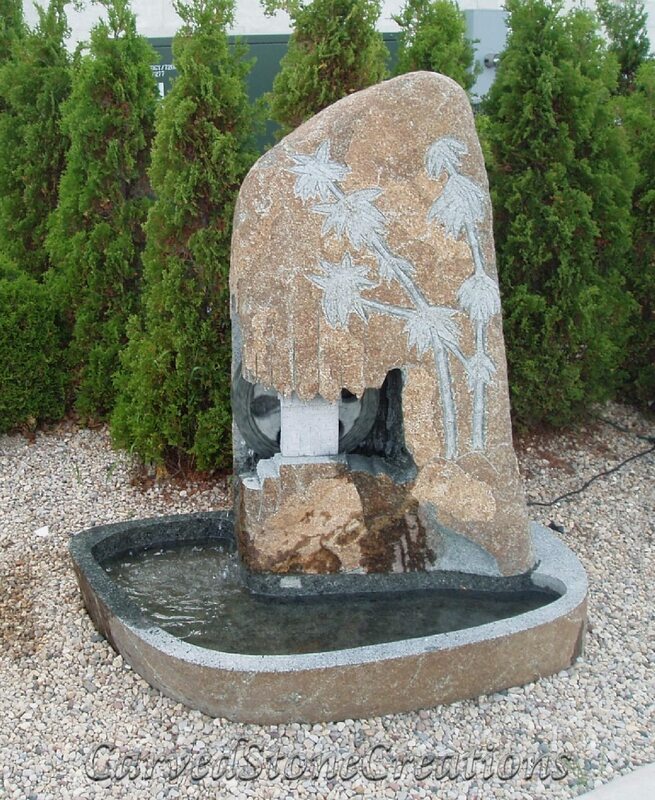 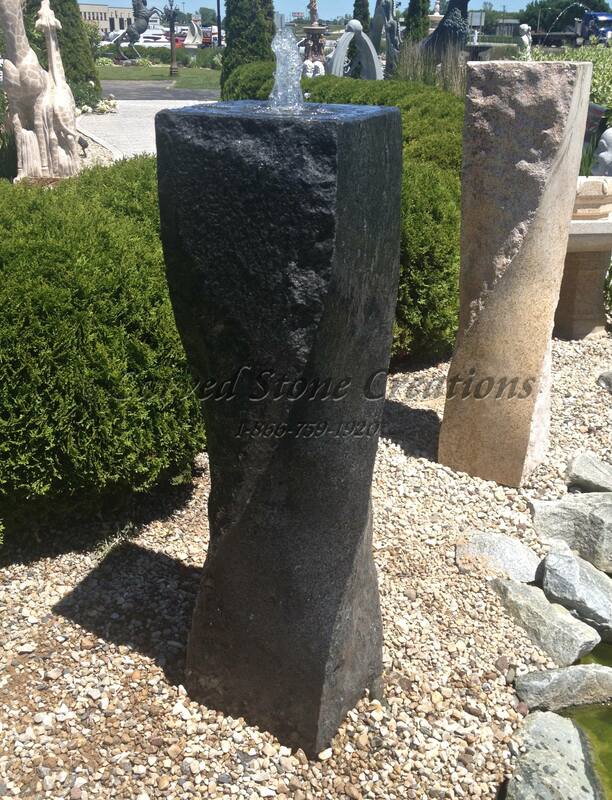 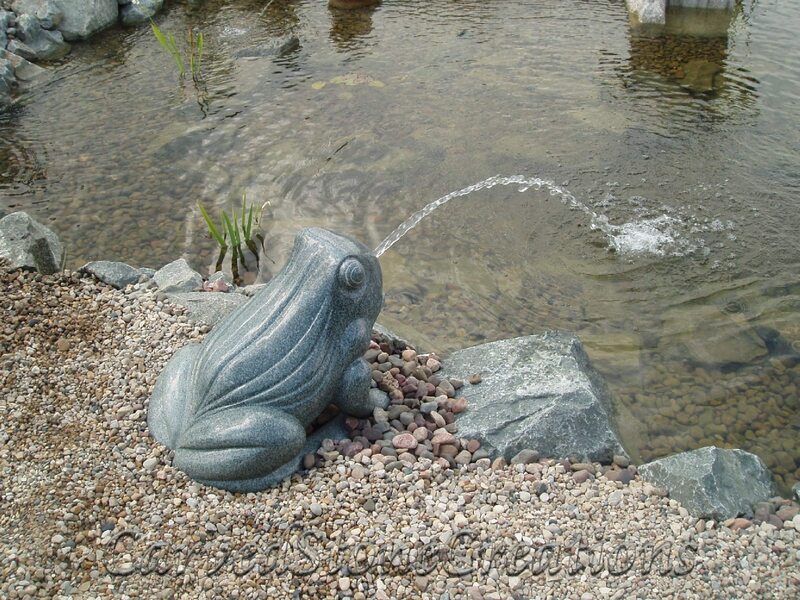 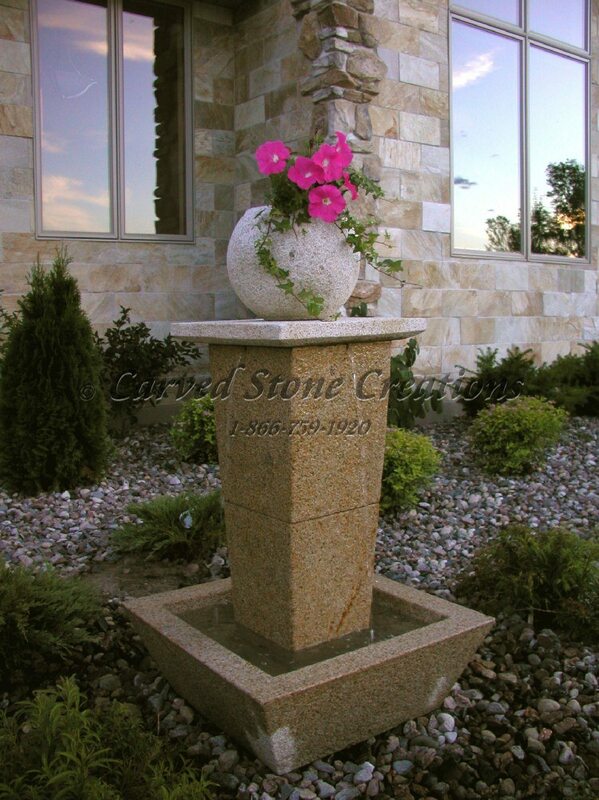 This polished granite frog fountain adds the sound of splashing water you your garden. 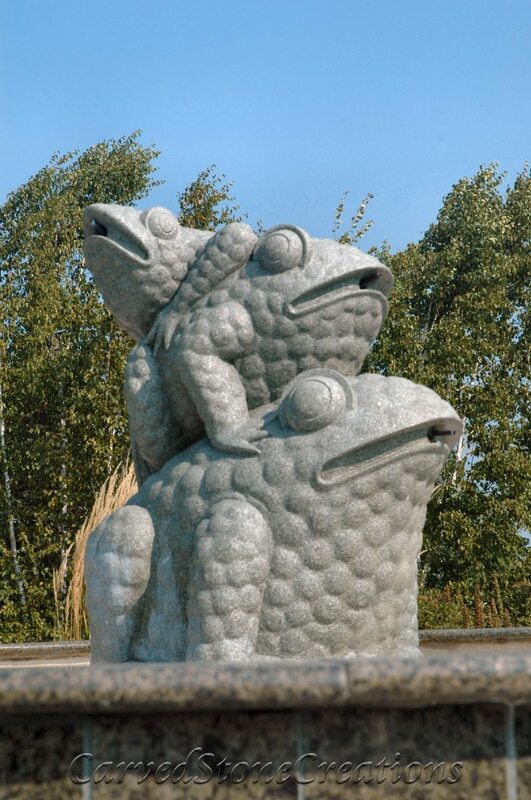 This unique fountain sculpture features 3 toads climbing on each other’s backs while spraying water in 3 directions. 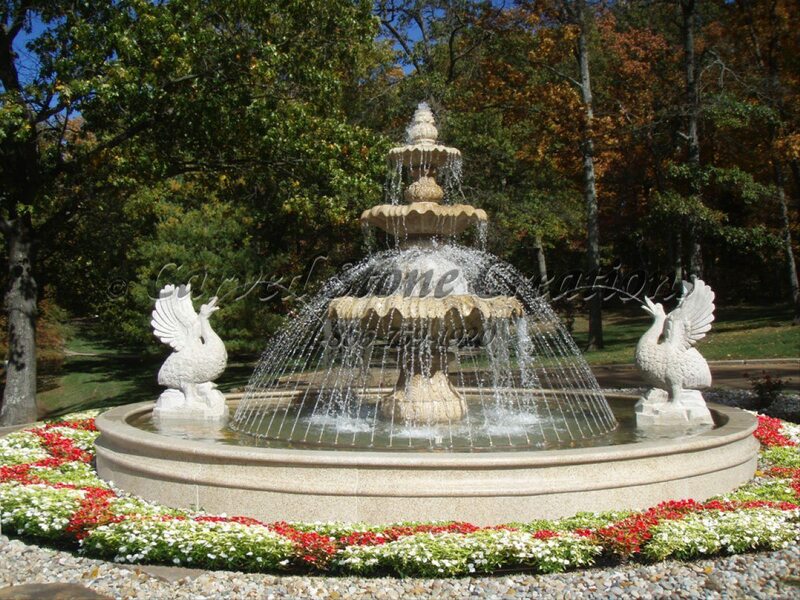 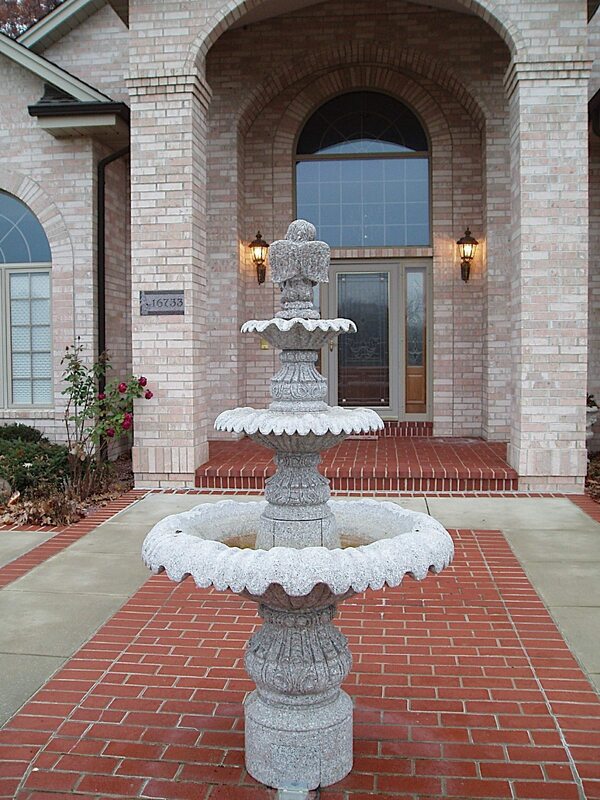 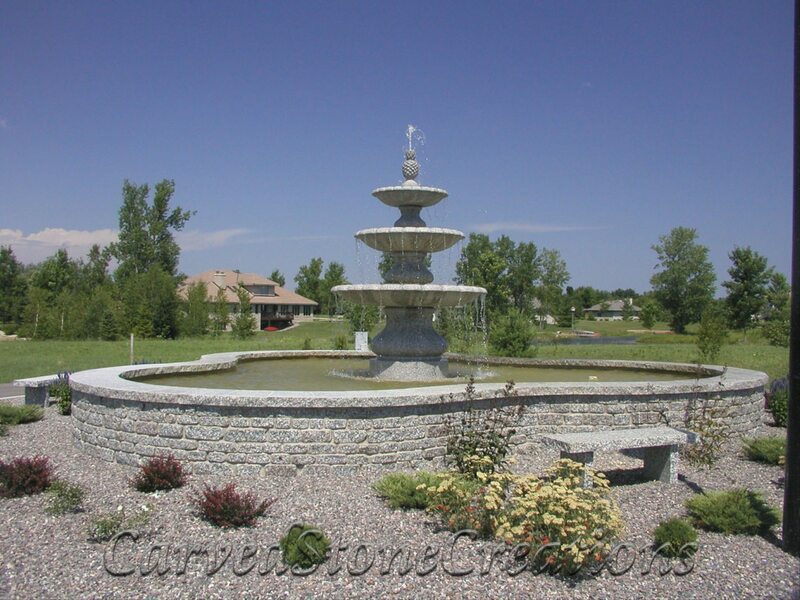 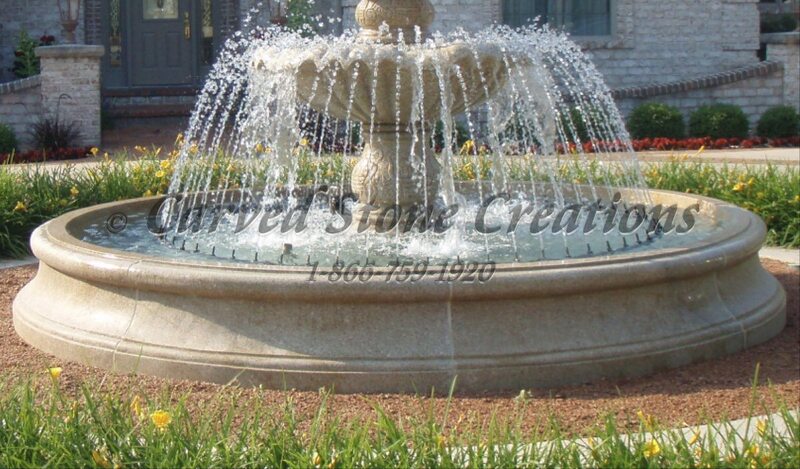 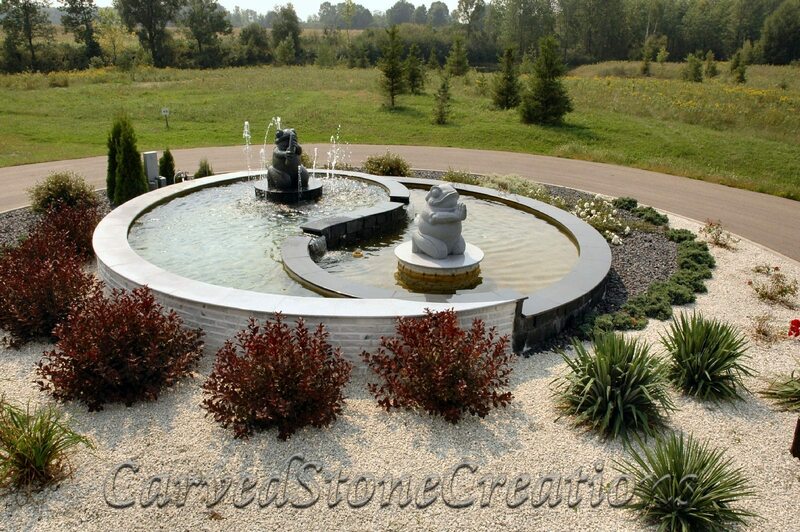 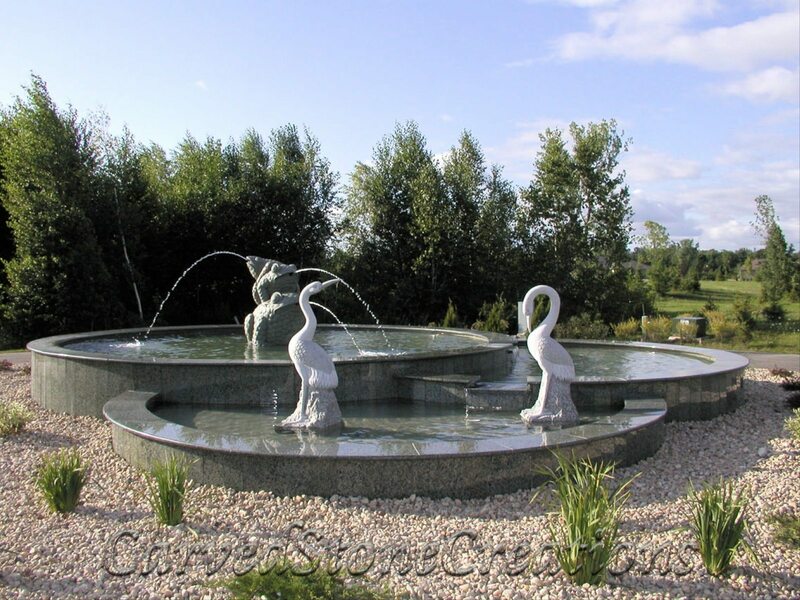 Tiered swan fountain with round granite pool surround. 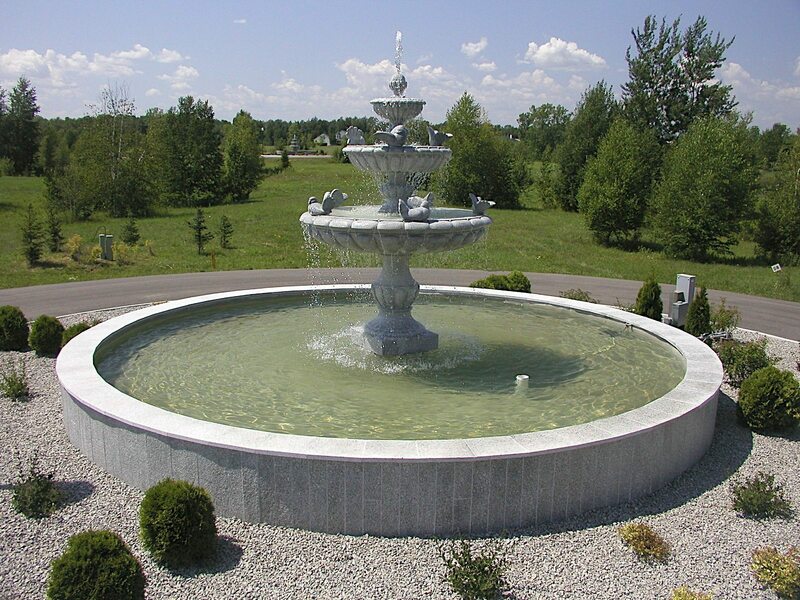 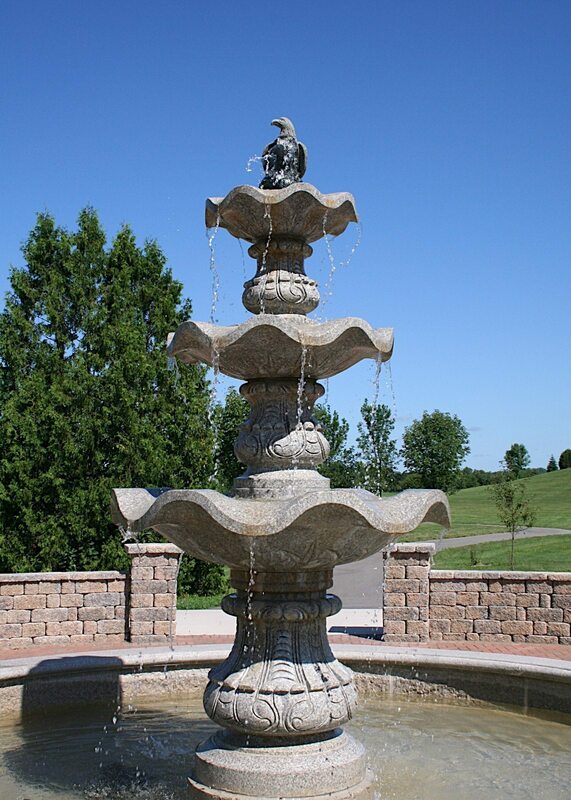 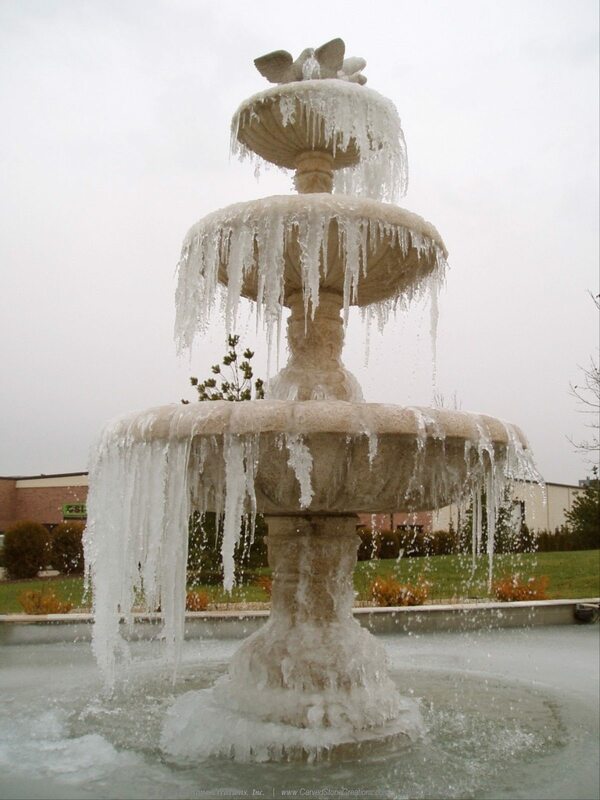 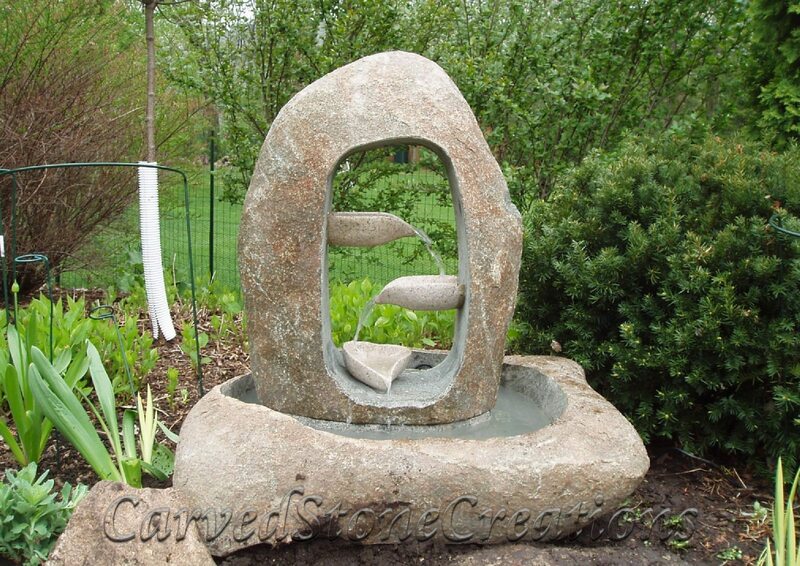 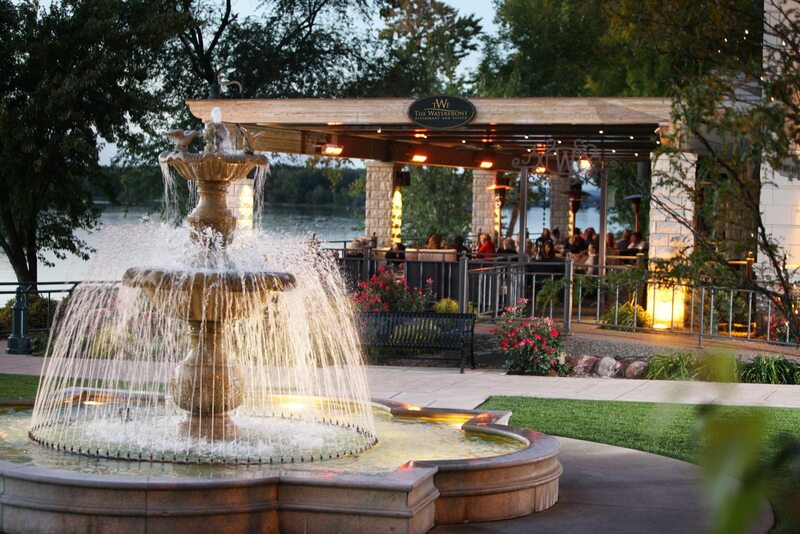 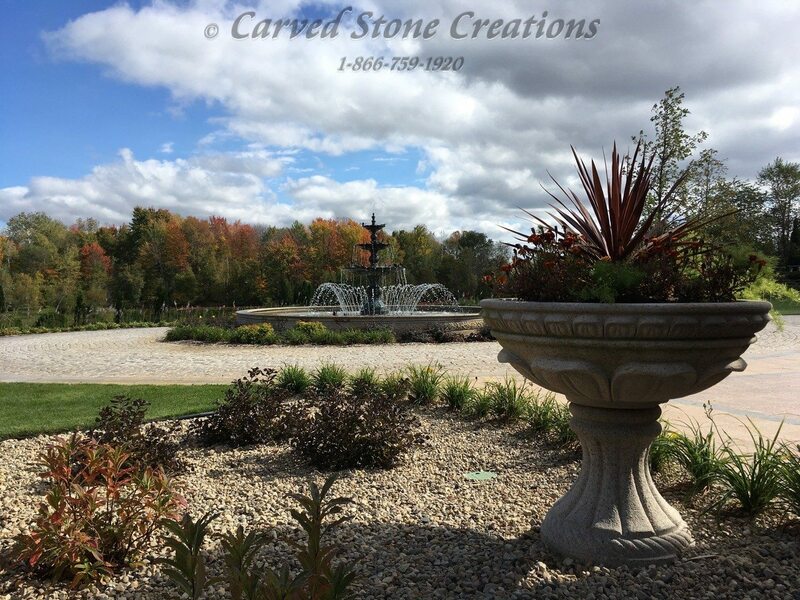 This tiered fountain is enjoyed by many at Jennerjohn Park in Greenville, WI. 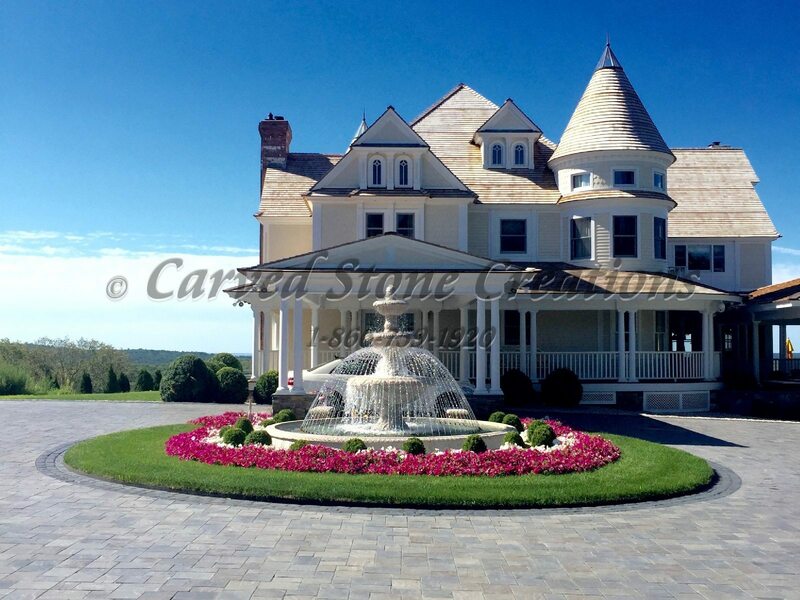 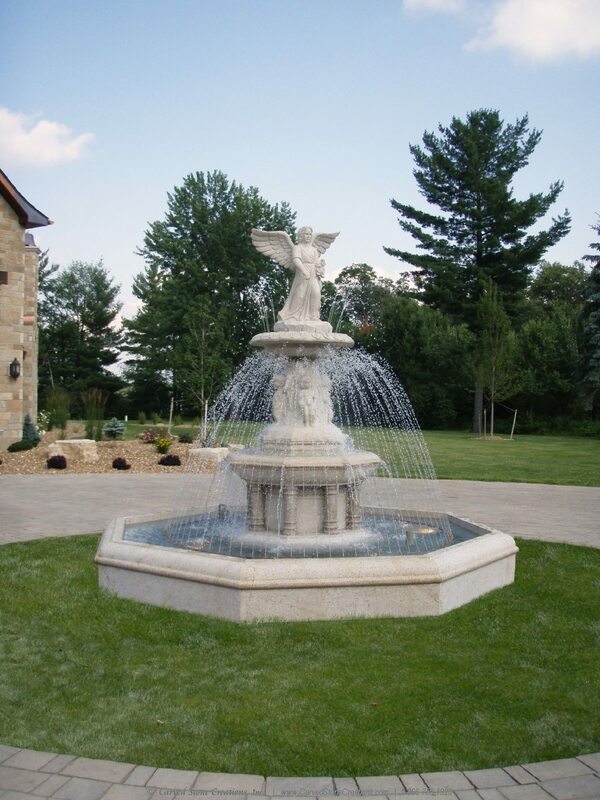 A classical tiered fountain perfectly completes the landscape of this Victorian home. 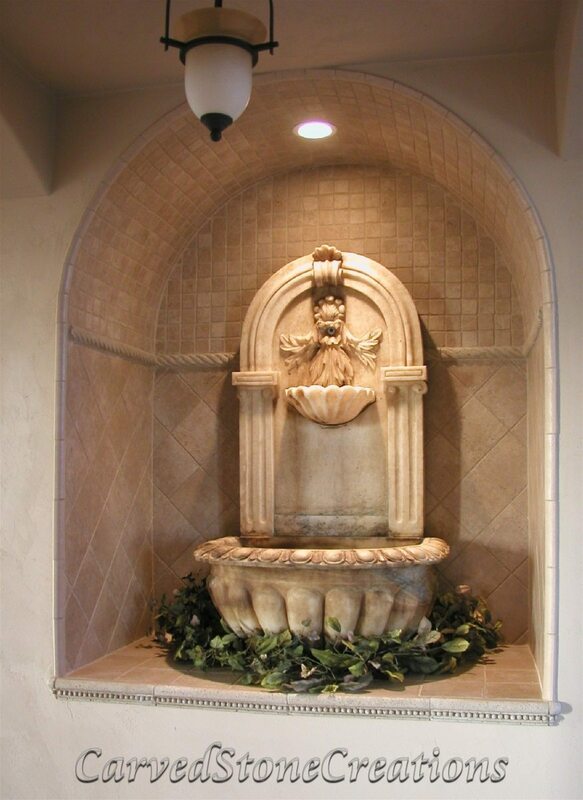 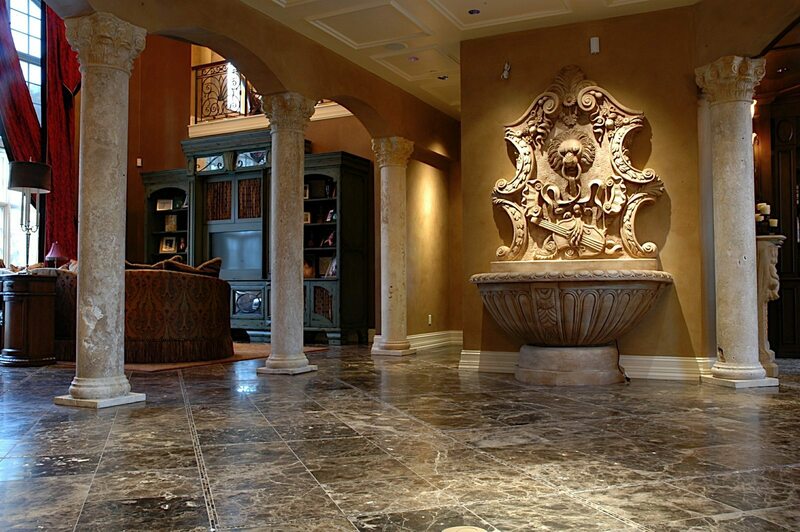 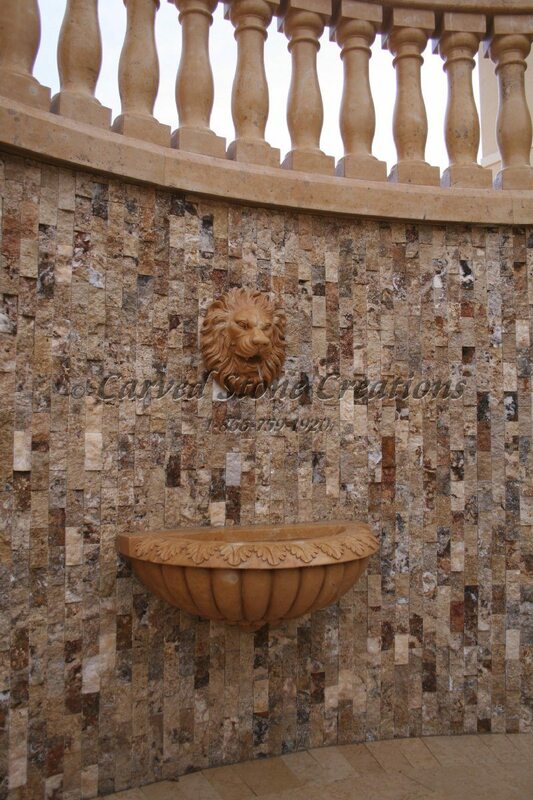 Indoor marble wall fountain in a wall niche. 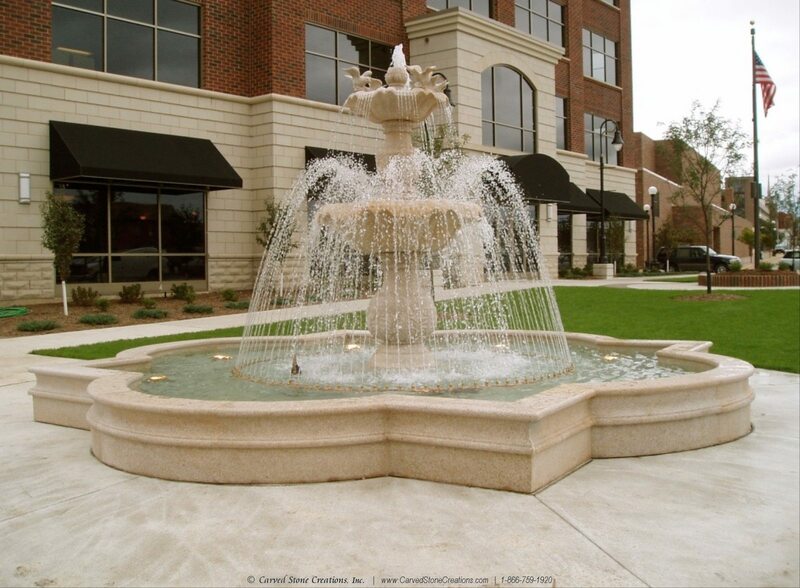 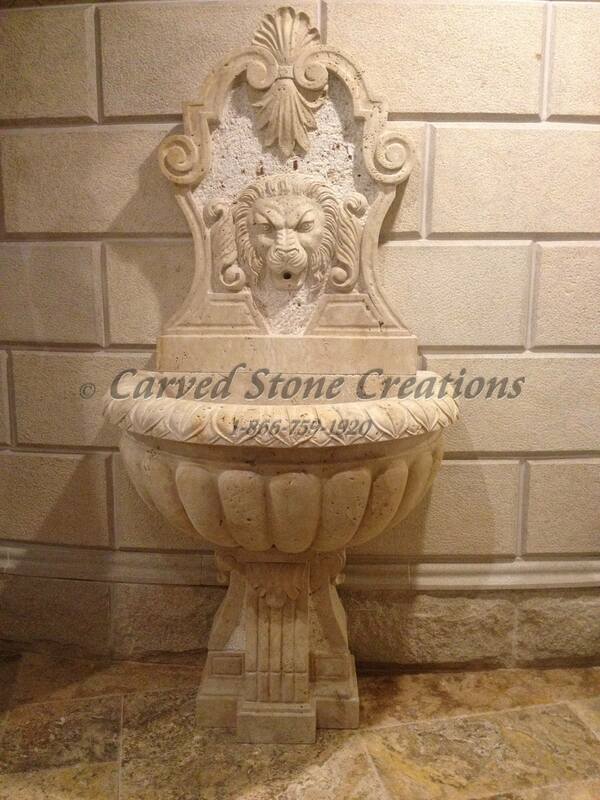 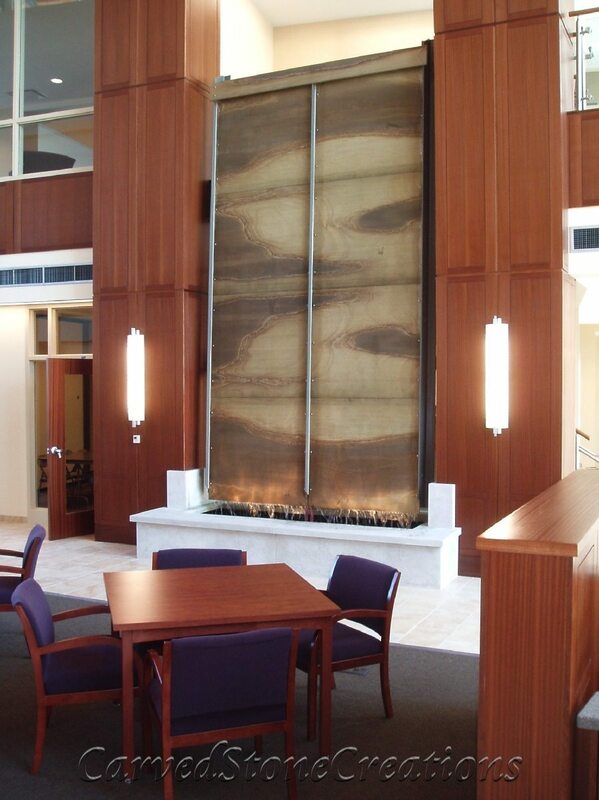 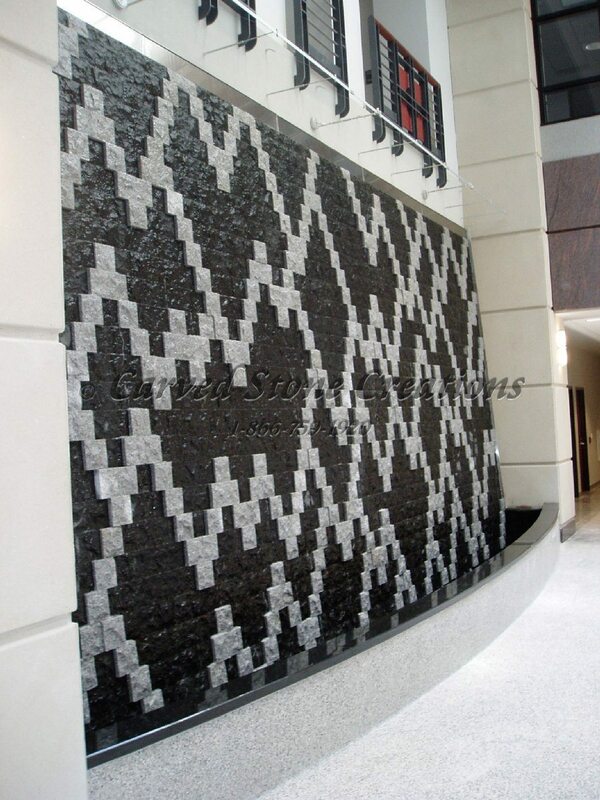 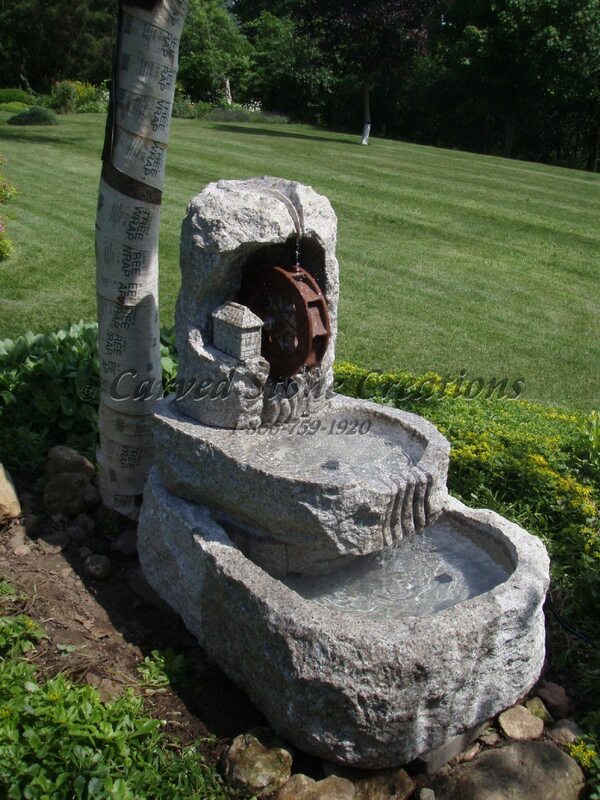 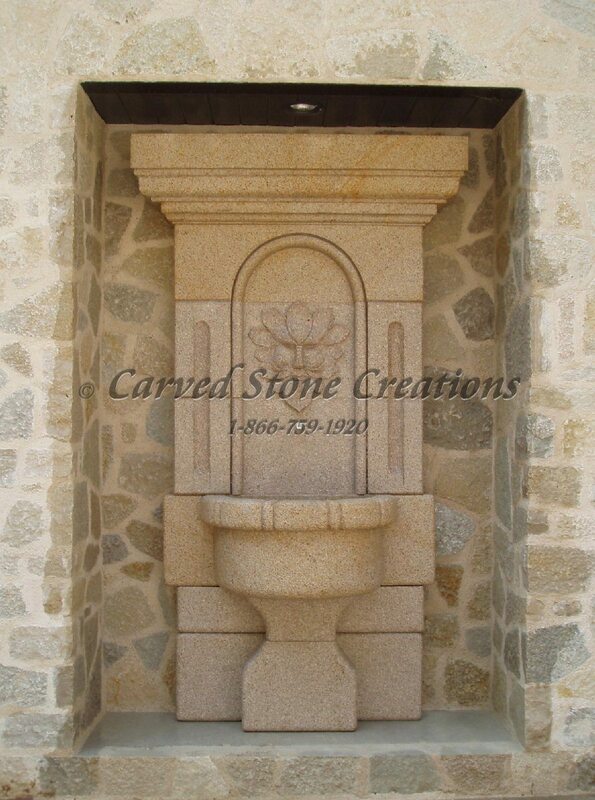 We created this custom granite tooth fountain for a dental clinic. 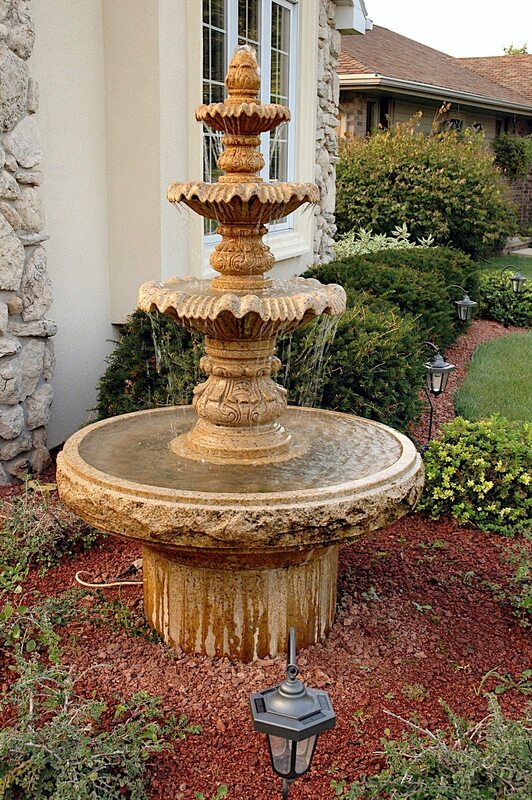 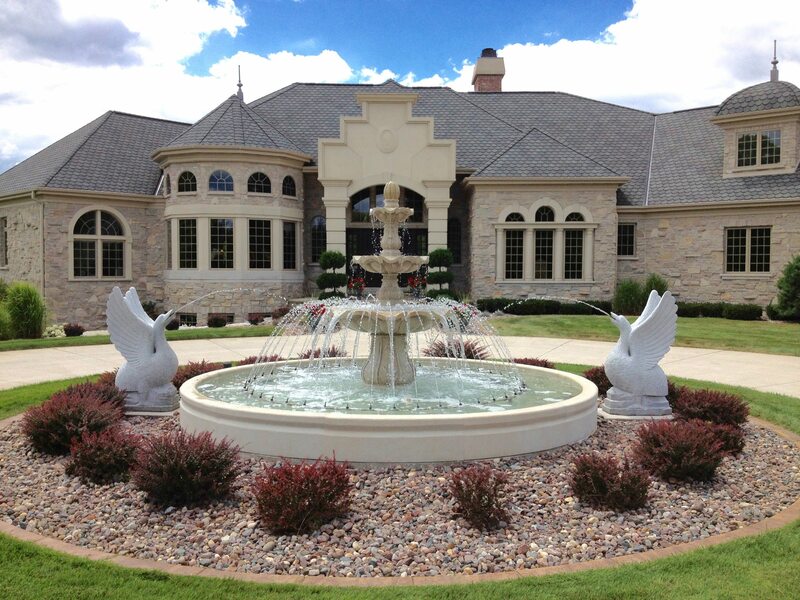 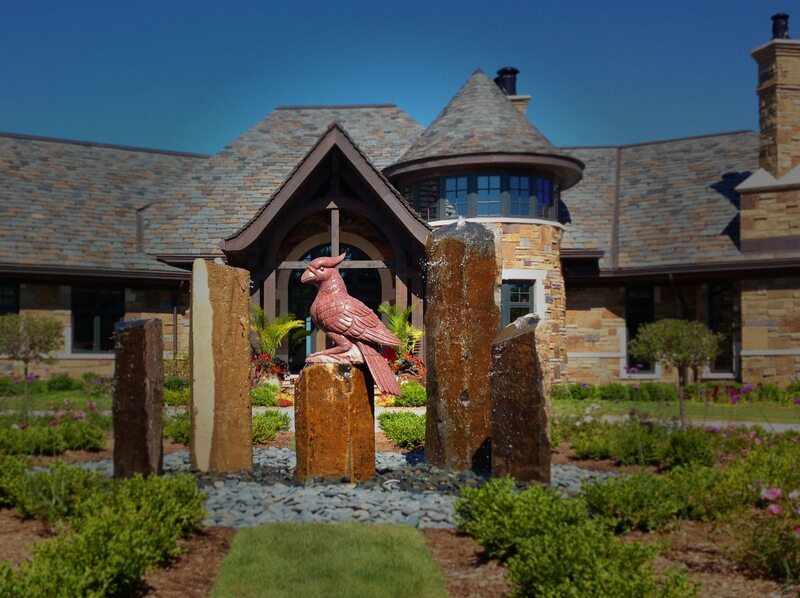 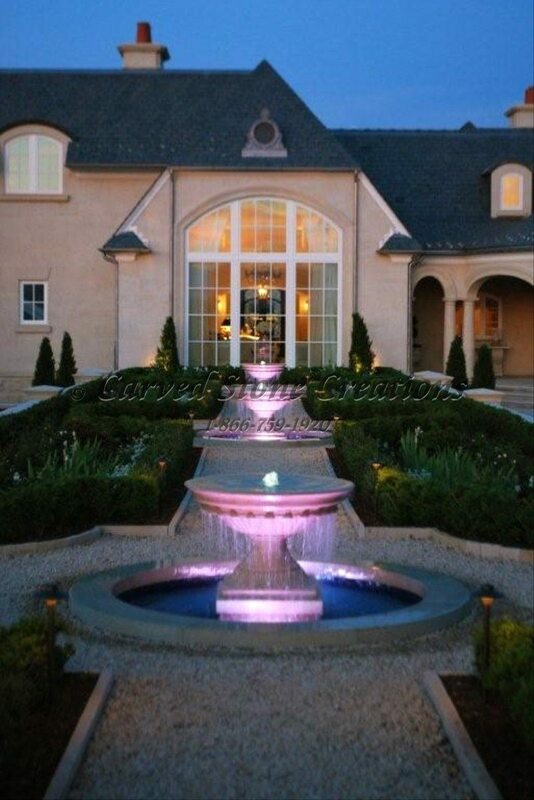 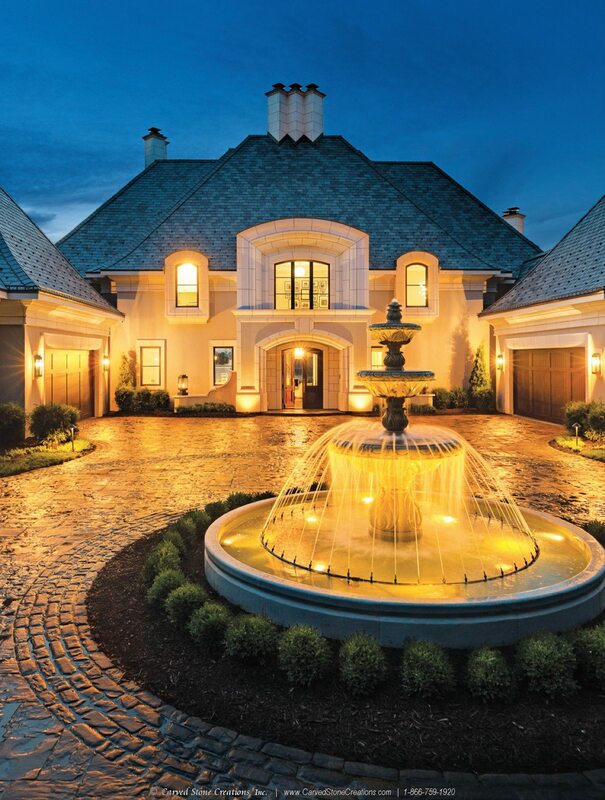 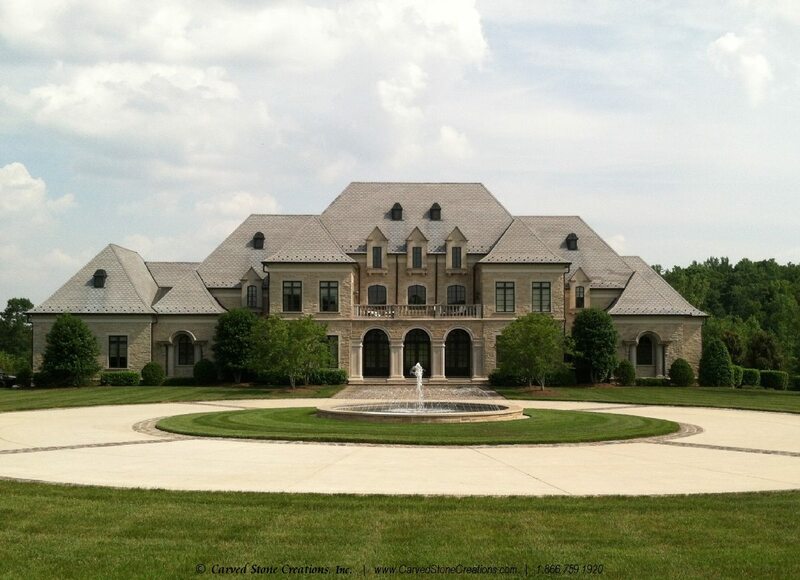 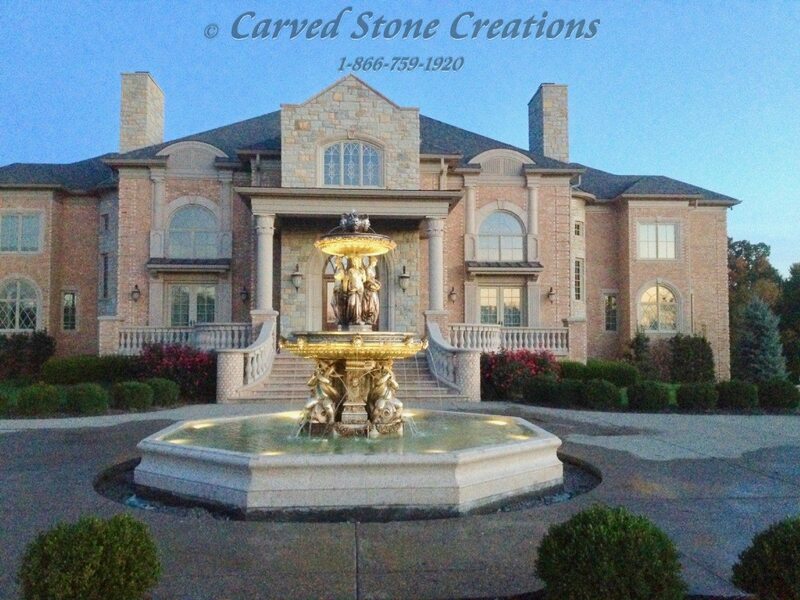 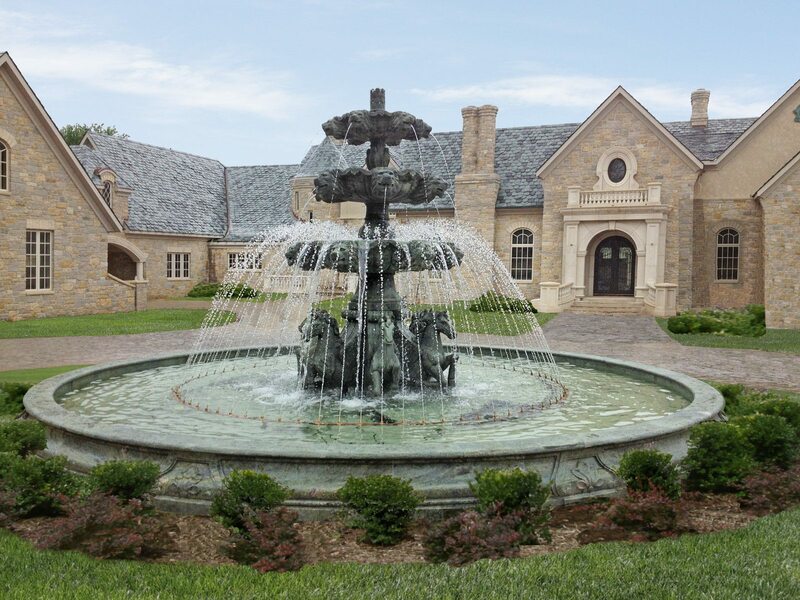 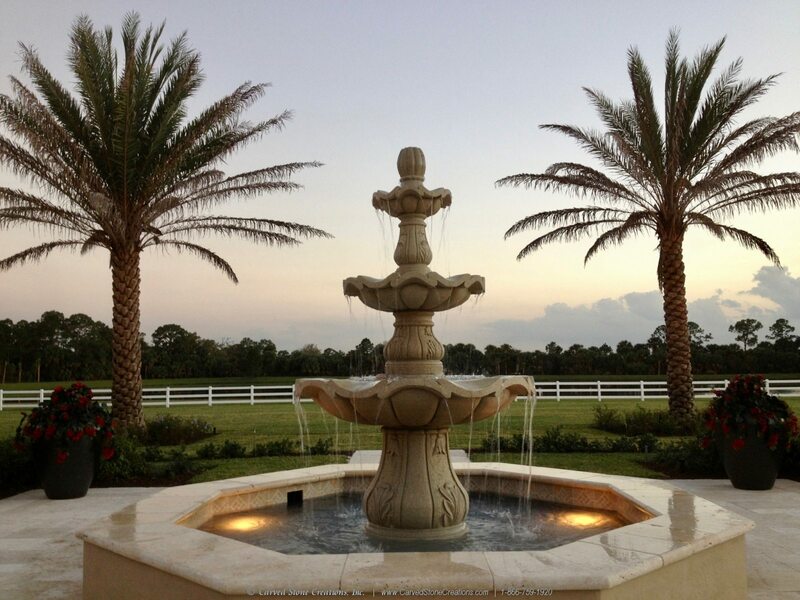 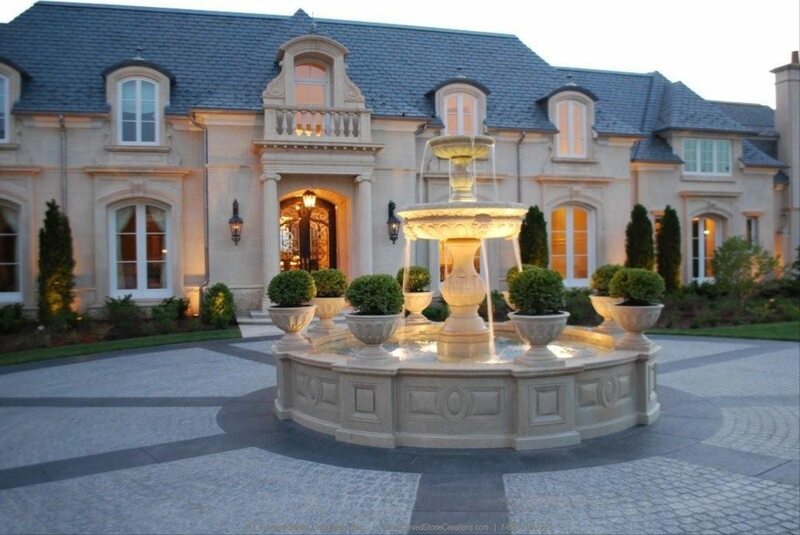 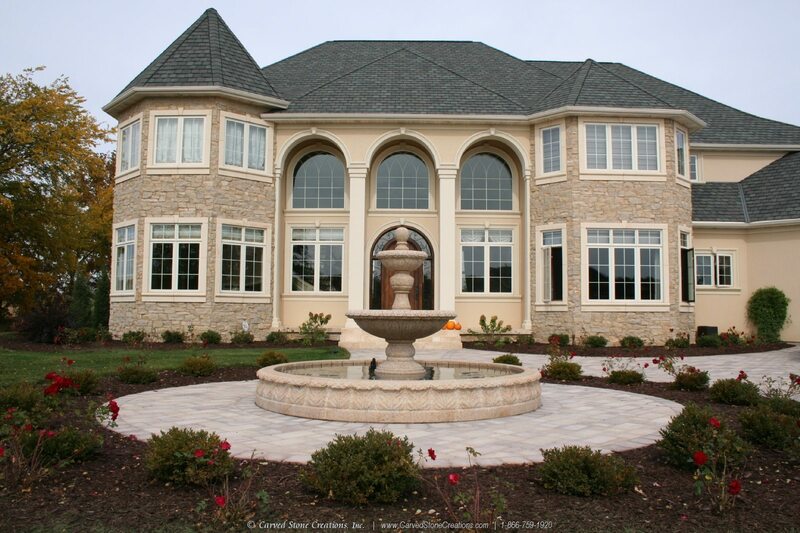 This bronze tiered fountain graces the front entry of this northern estate home. 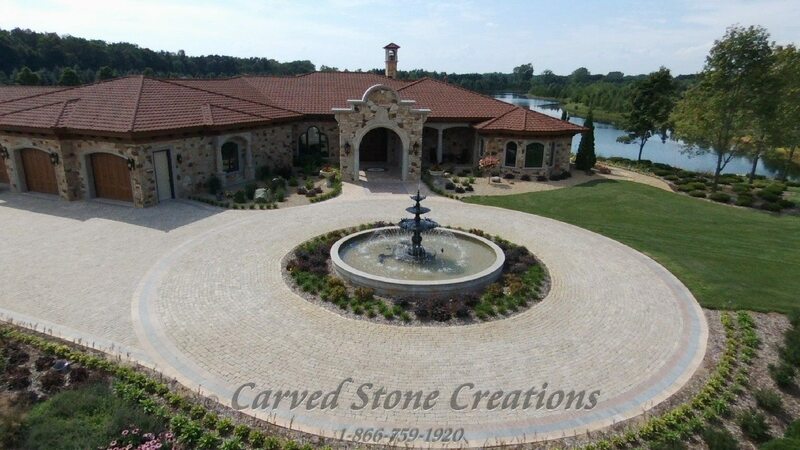 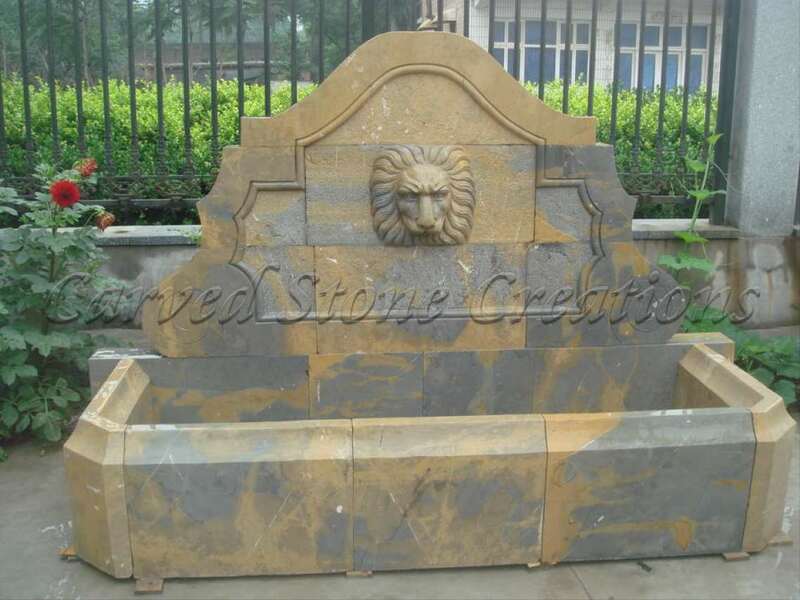 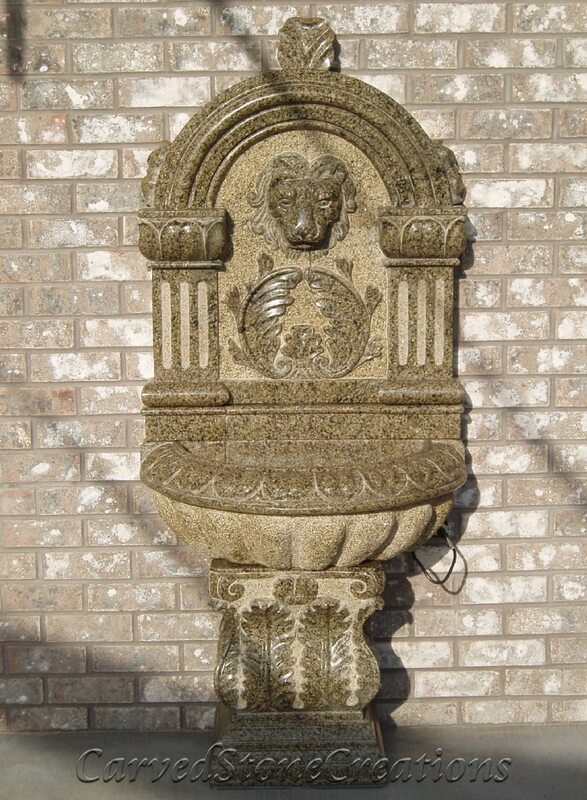 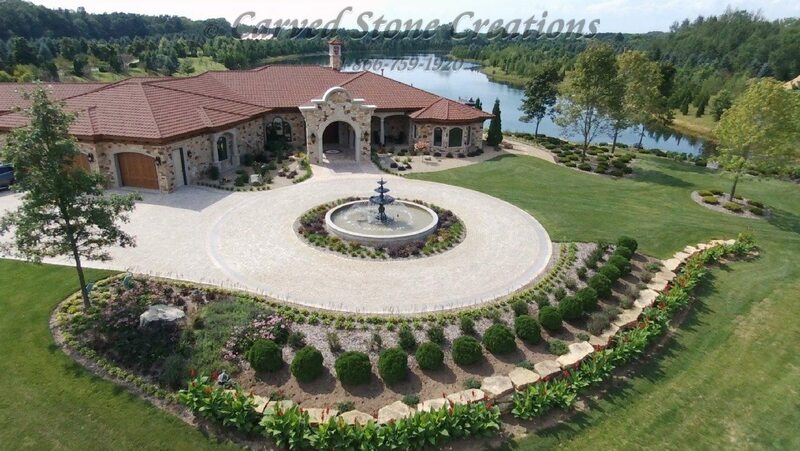 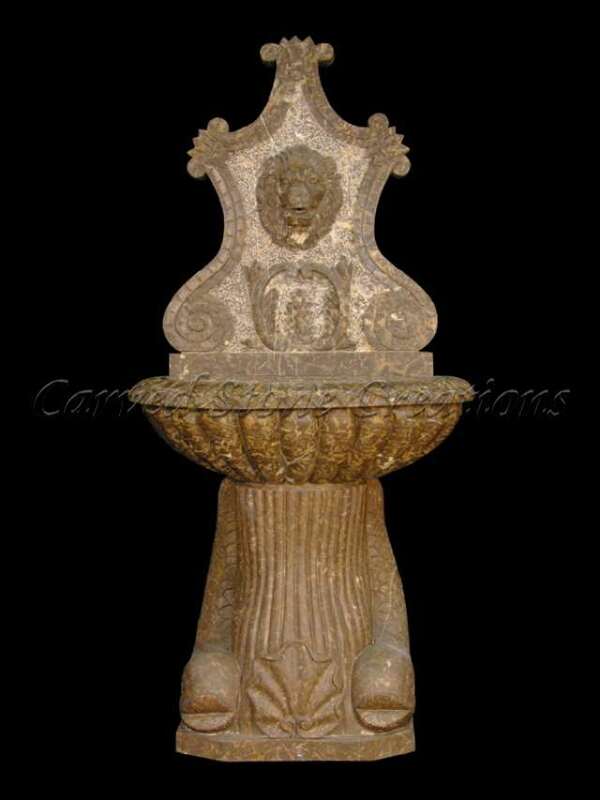 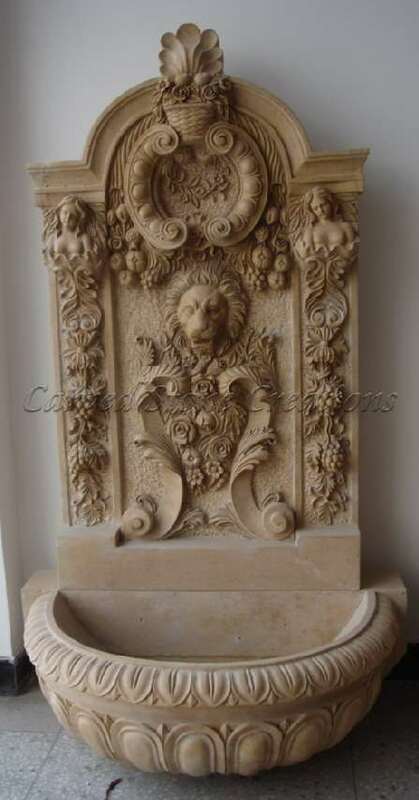 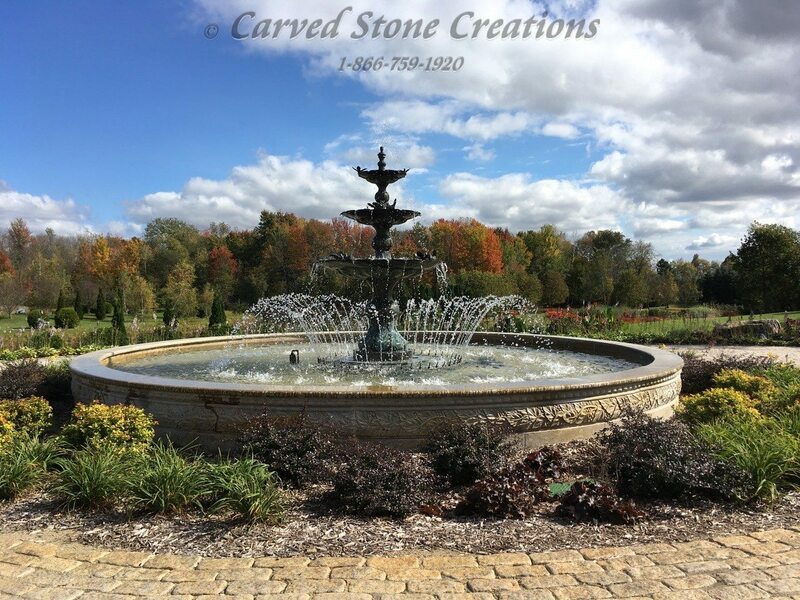 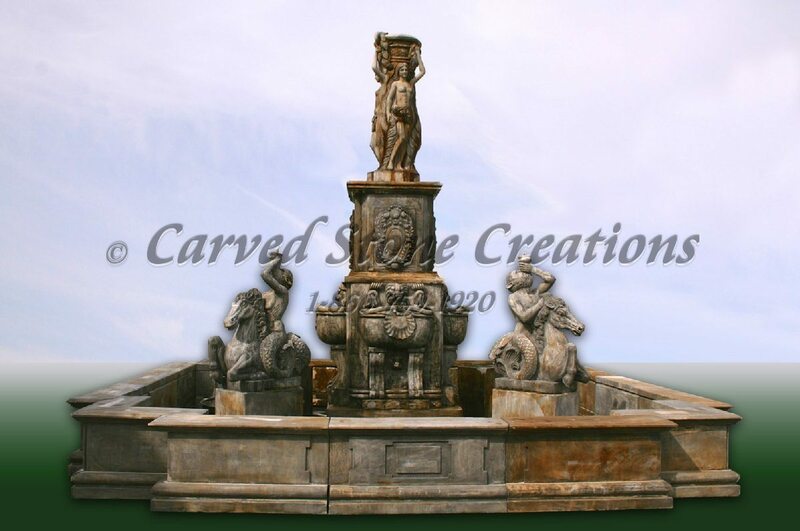 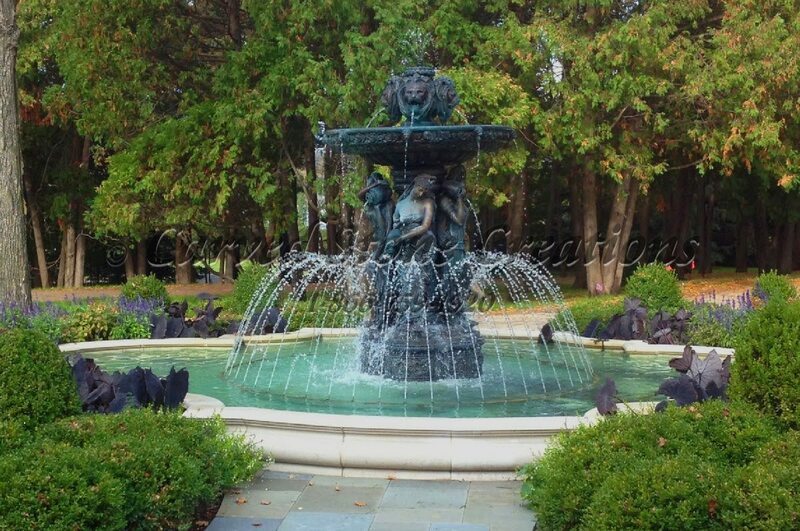 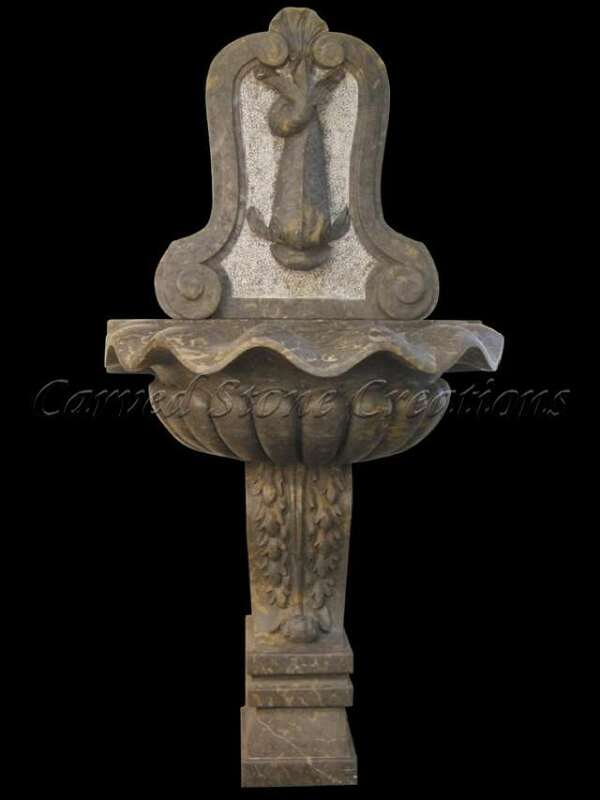 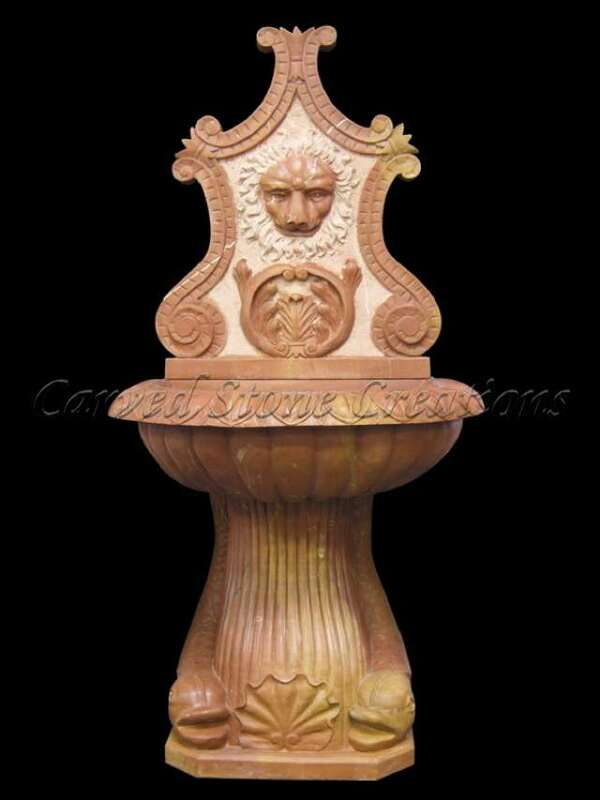 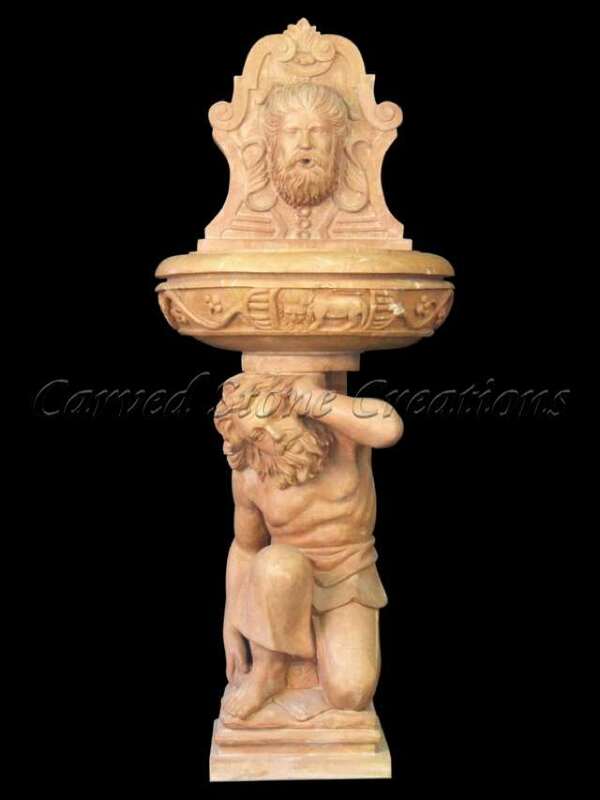 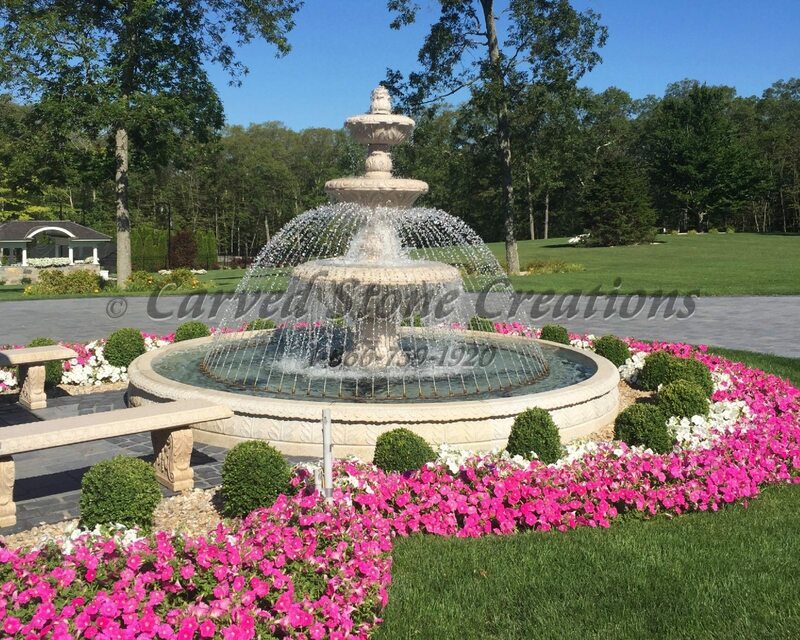 A large outdoor bronze fountain with grape-leaf carved pool surround. 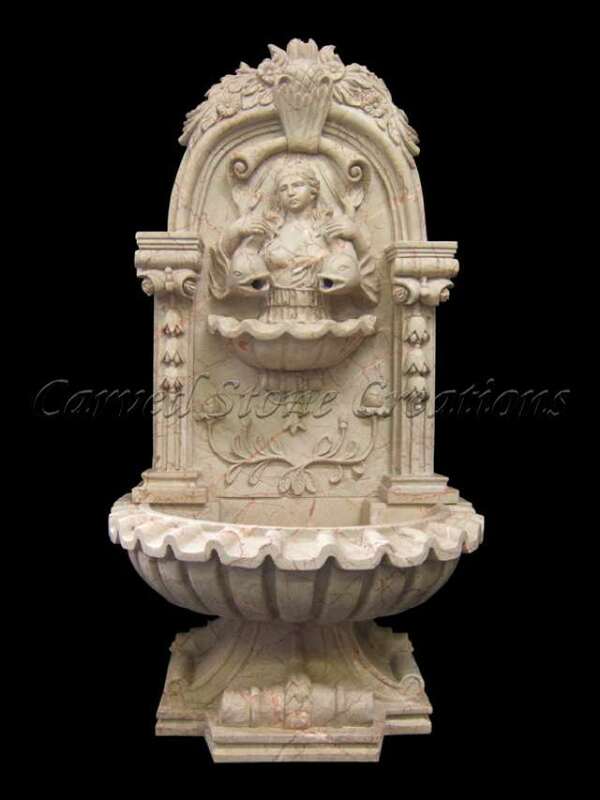 This church courtyard fountain features decoratively carved rose granite swans in a tiered fountain. 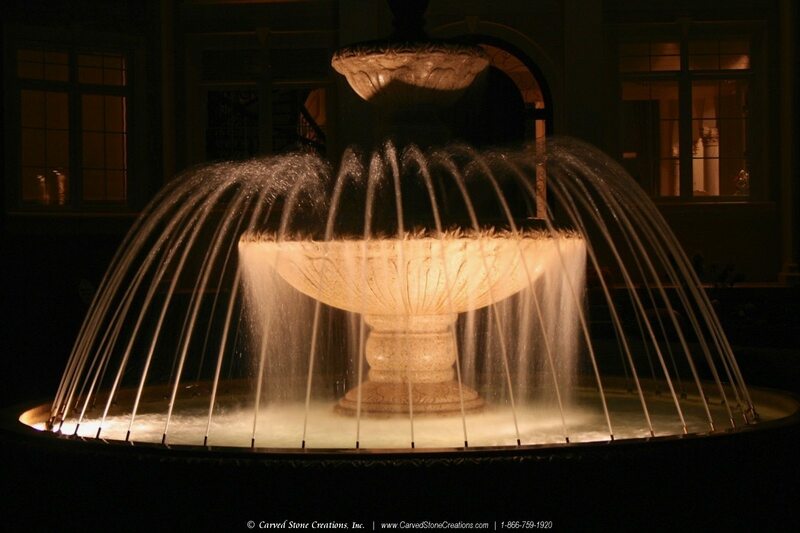 Underwater LED Fountain Lighting illuminates this elegant polished bronze fountain at night.